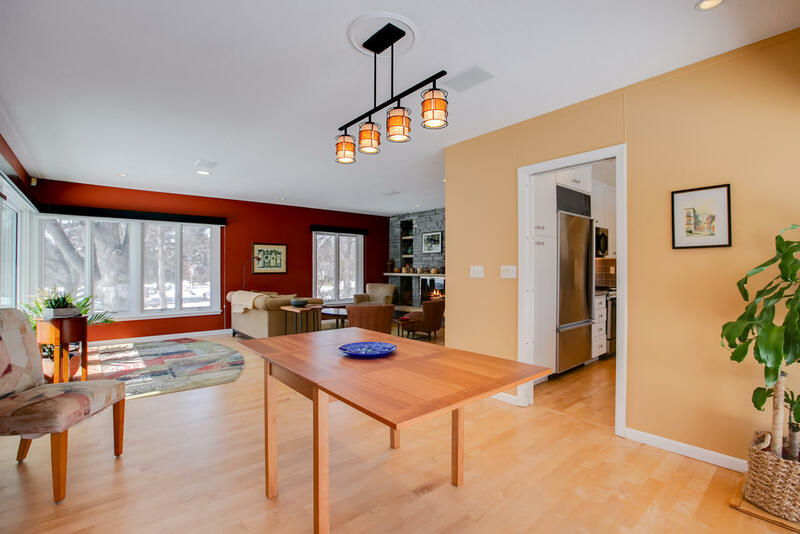 Welcome home to 8 Hingham Circle, where natural beauty and pride of ownership merge together seamlessly to create the feeling of home. 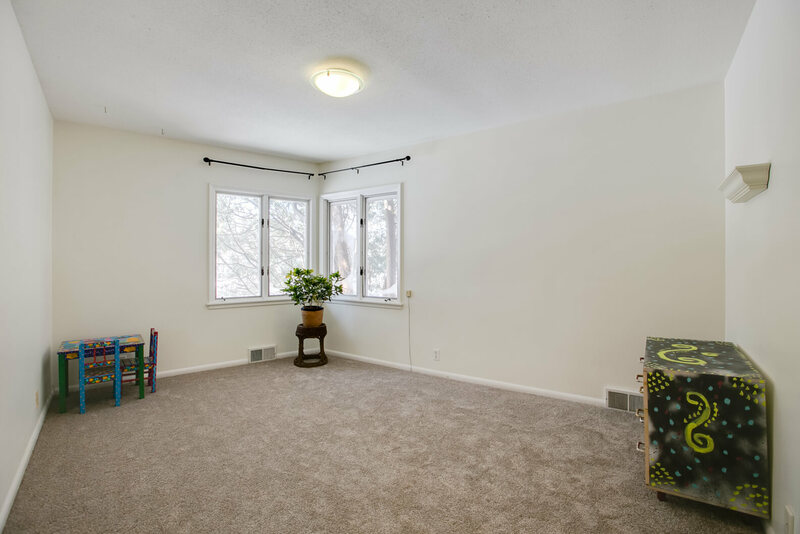 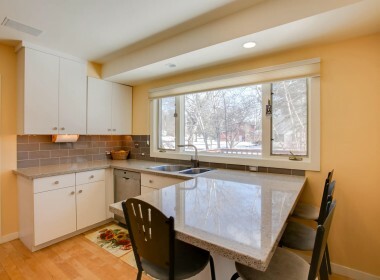 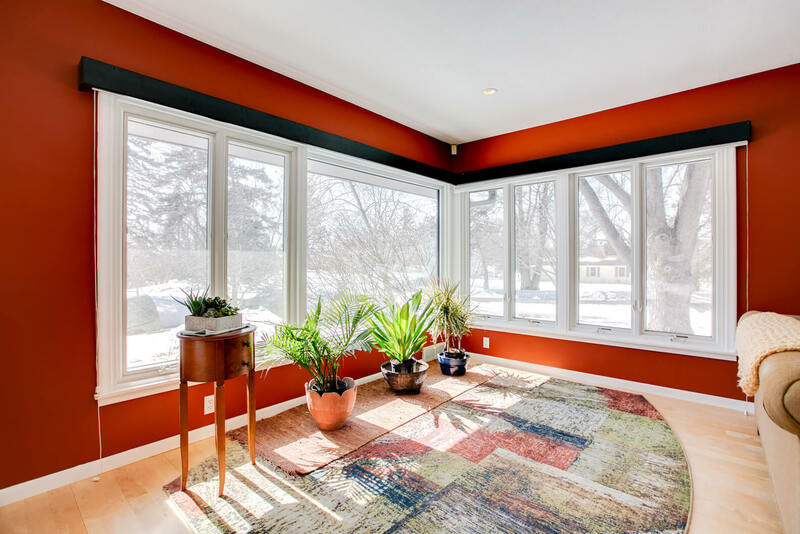 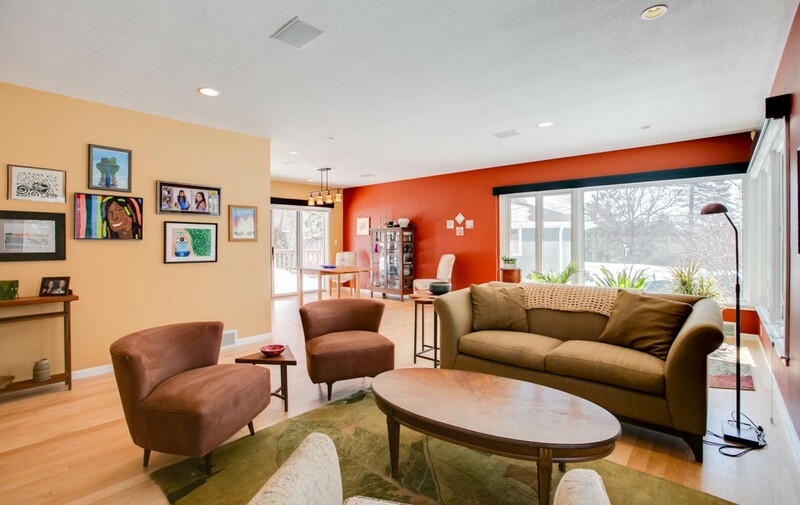 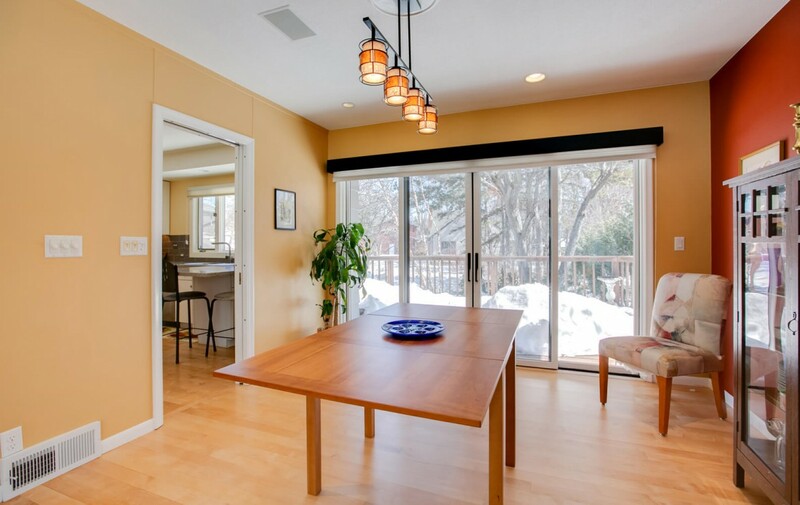 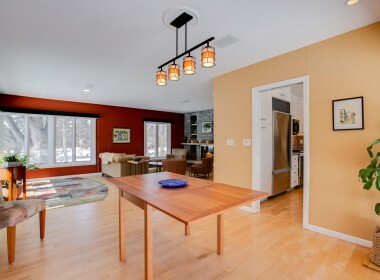 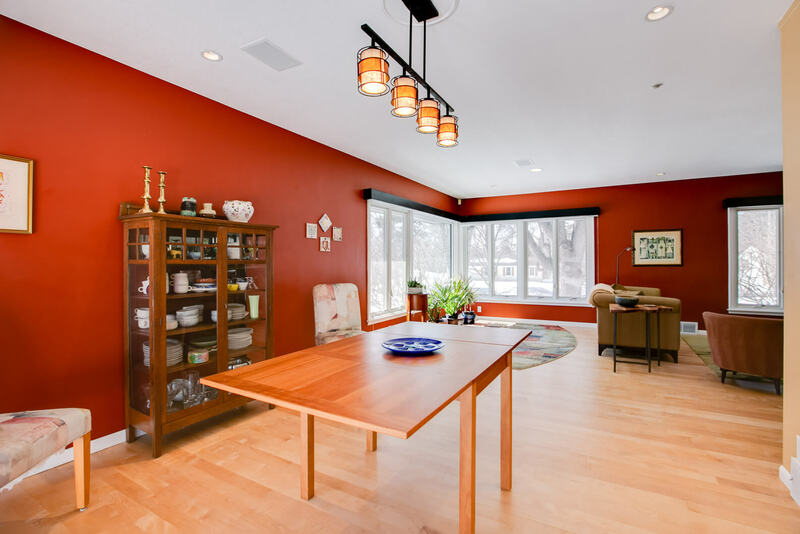 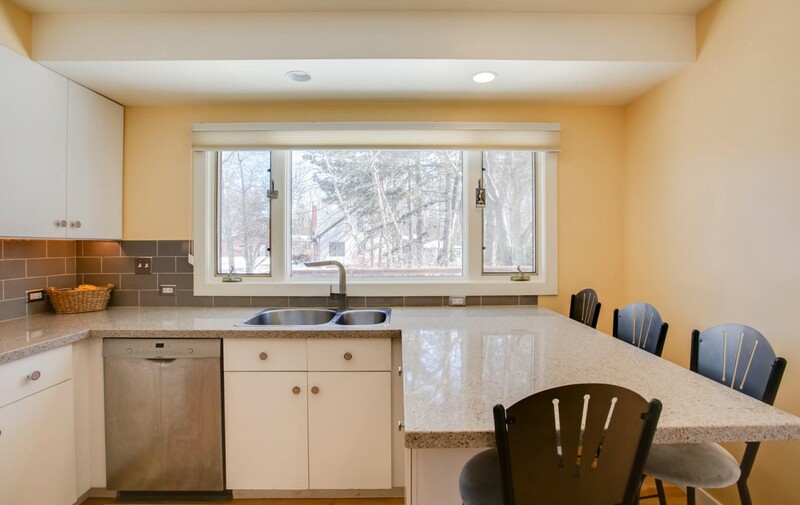 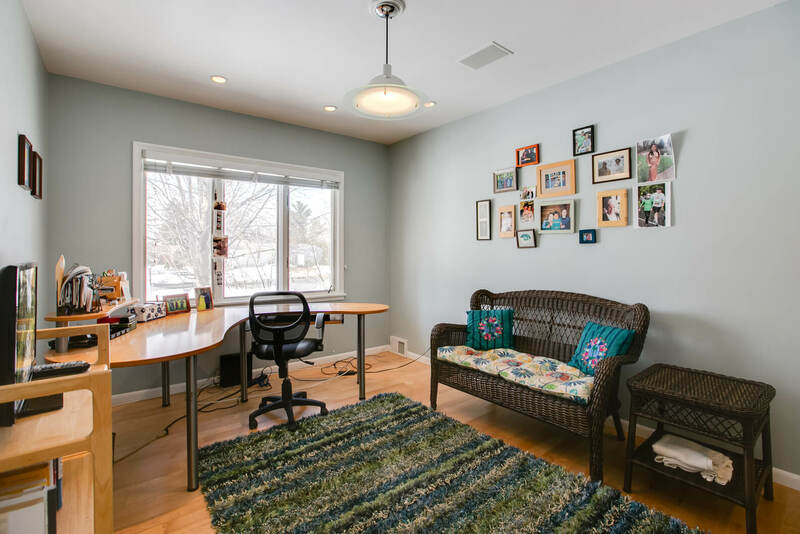 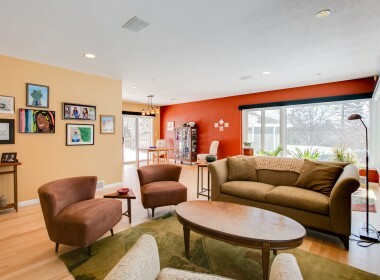 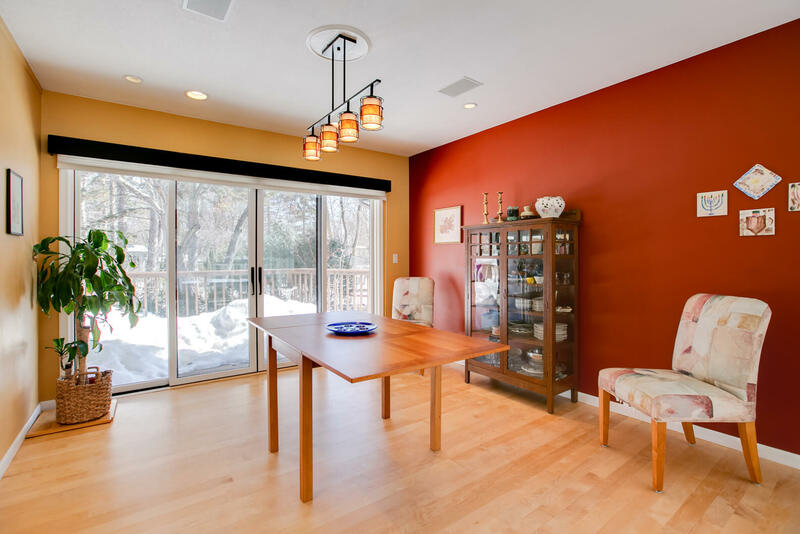 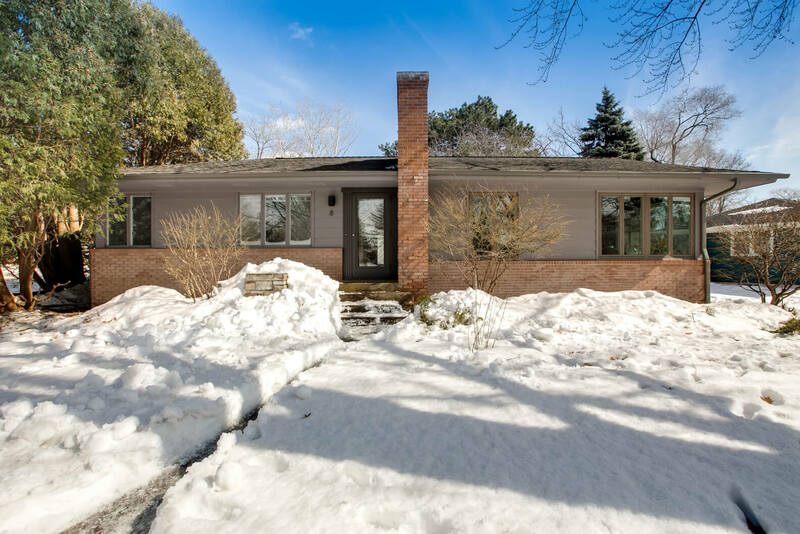 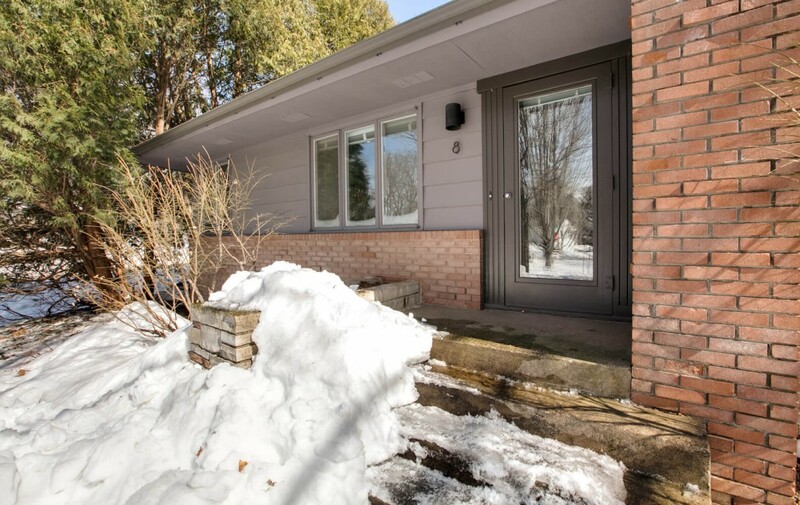 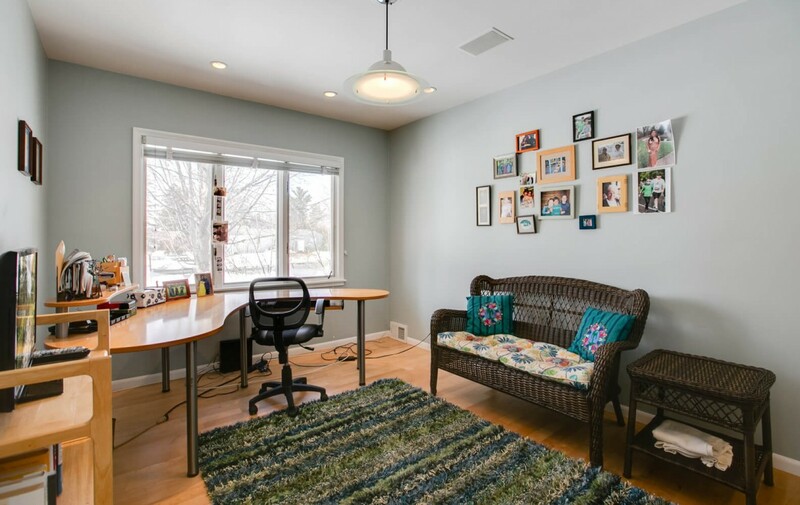 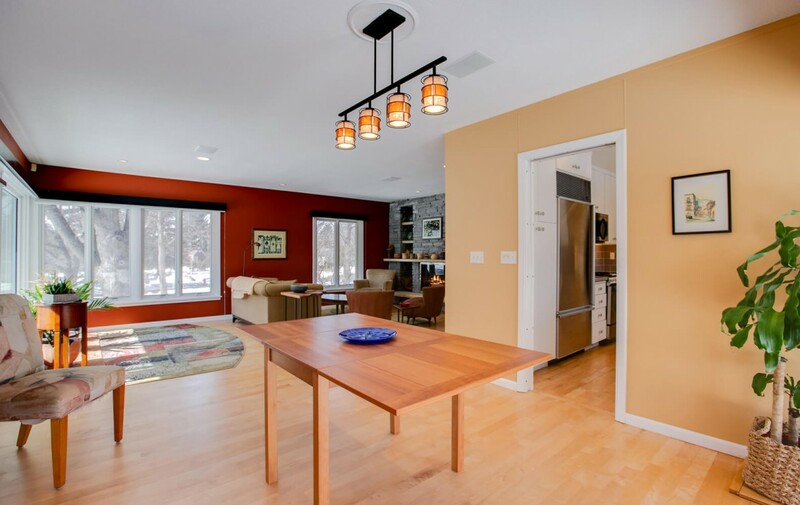 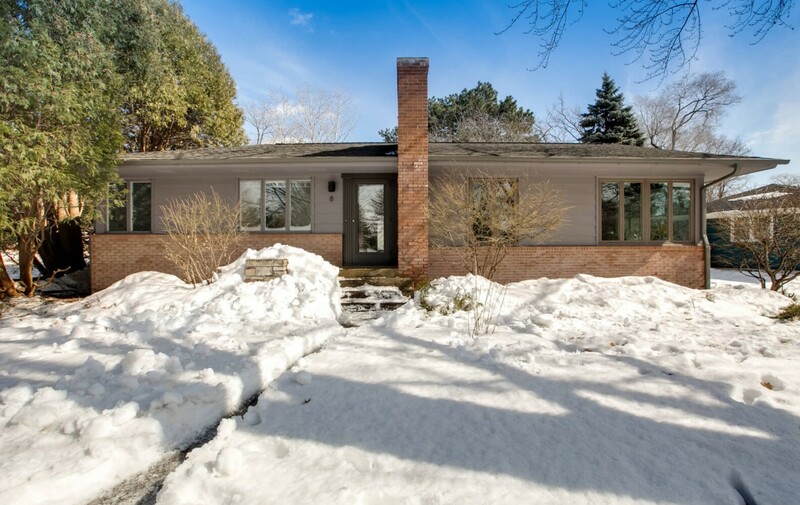 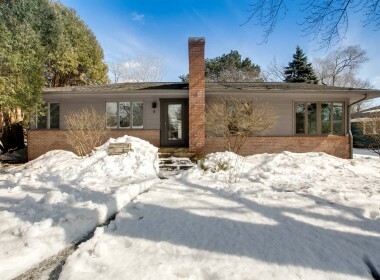 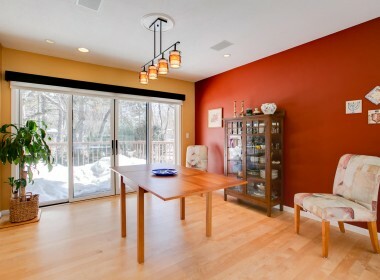 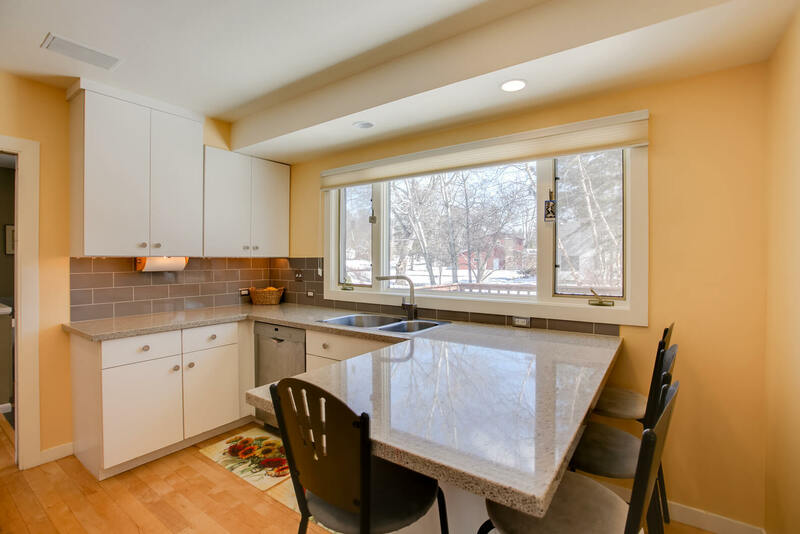 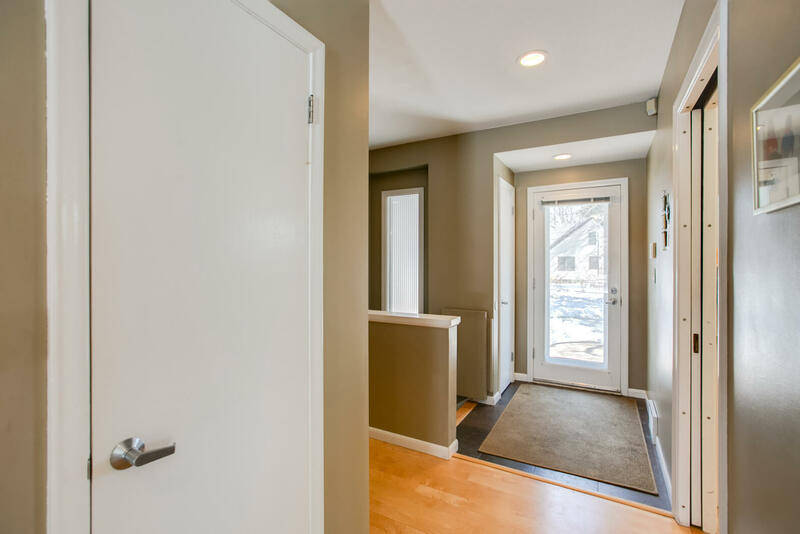 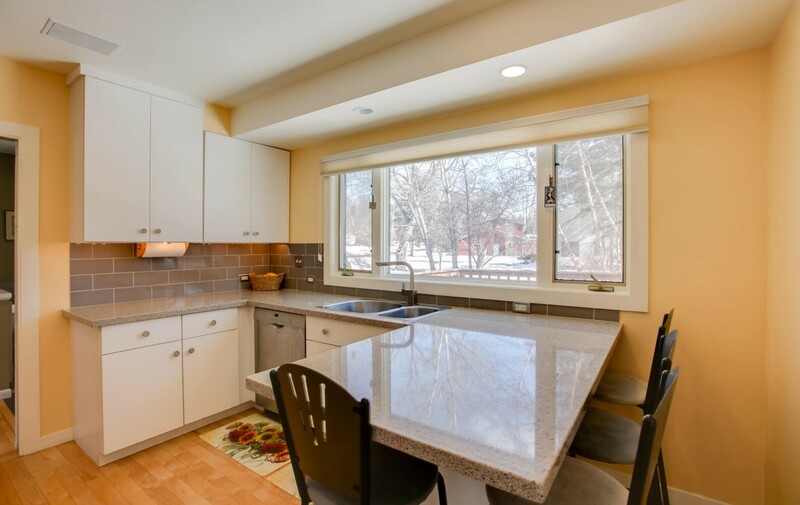 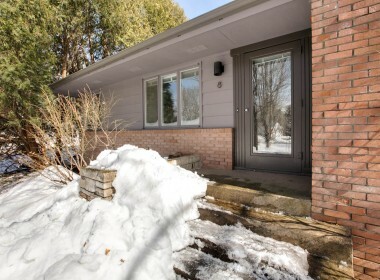 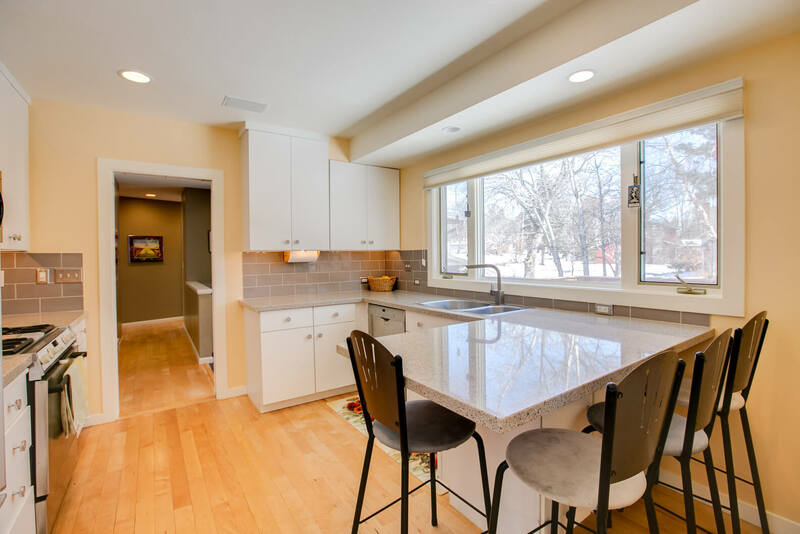 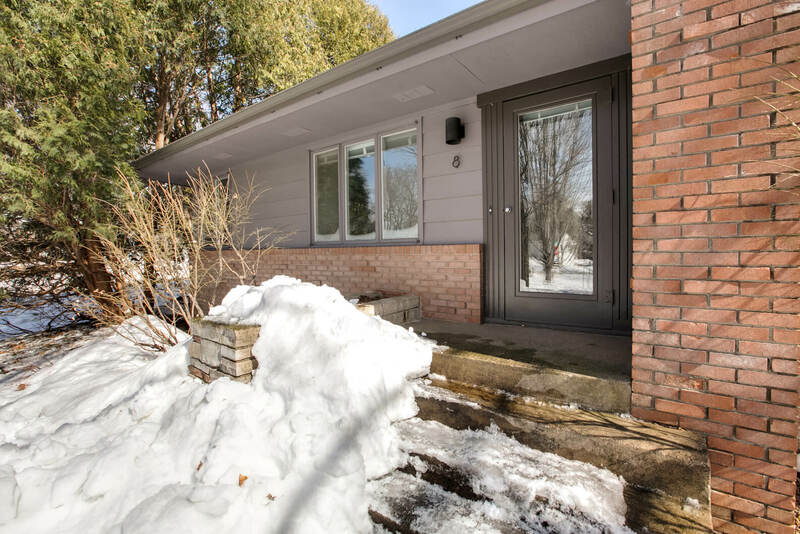 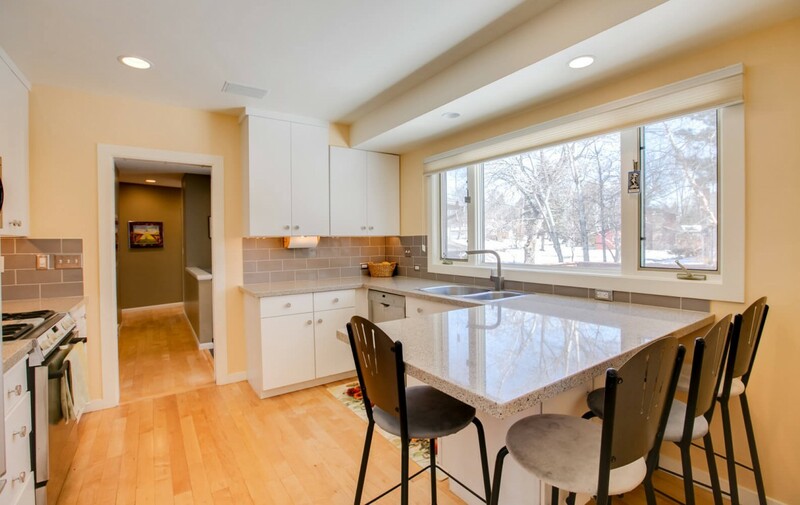 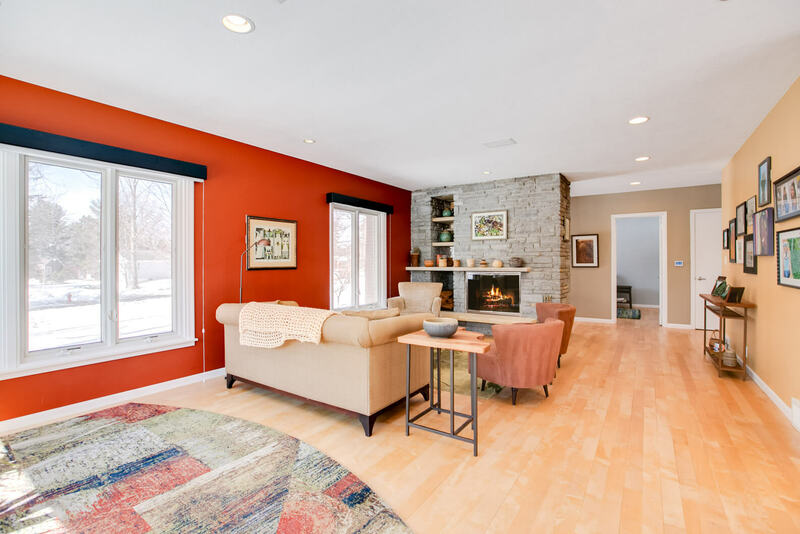 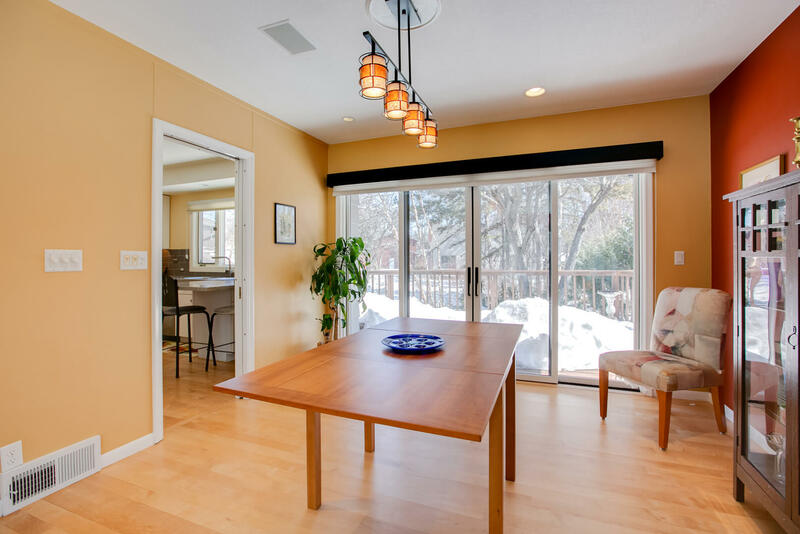 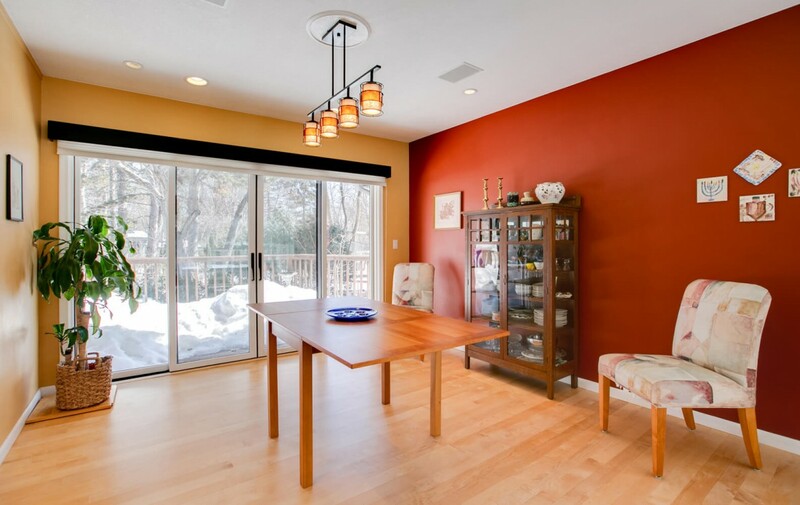 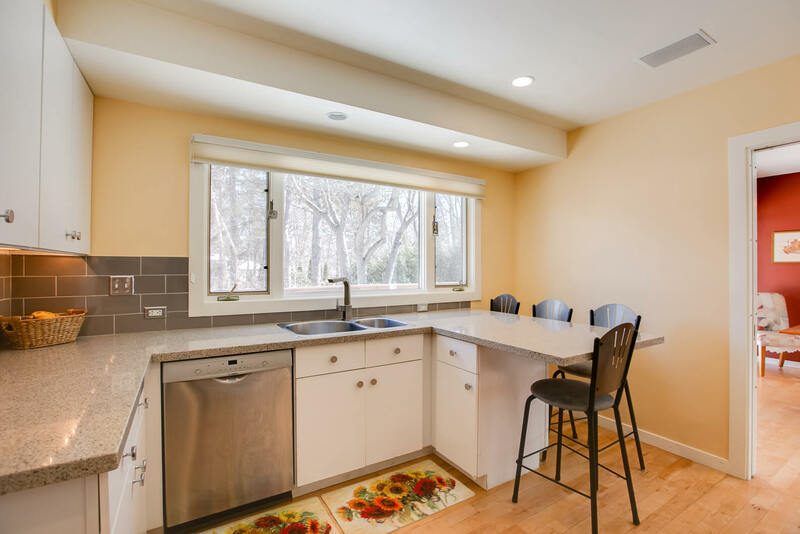 Nestled on a quiet corner lot in this wonderful Mendota Heights neighborhood, the park-like setting with mature trees and shrubs affords privacy, while the friendly neighbors and great walkability help create a sense of community. 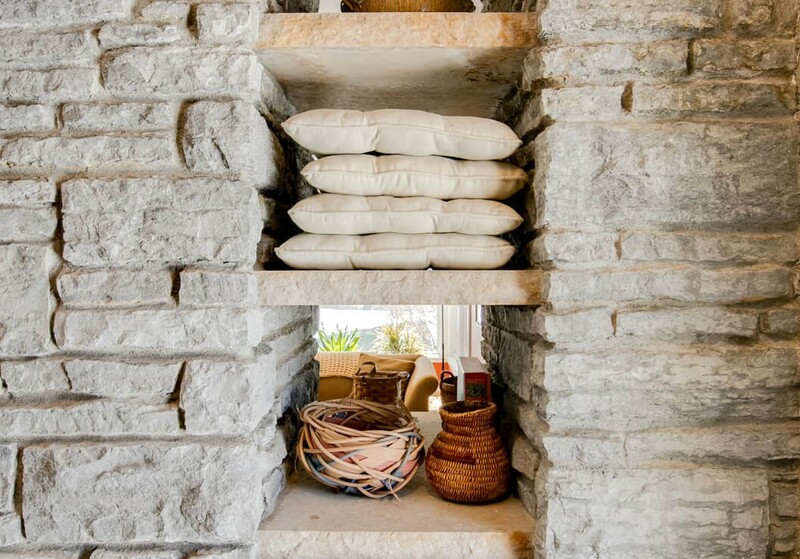 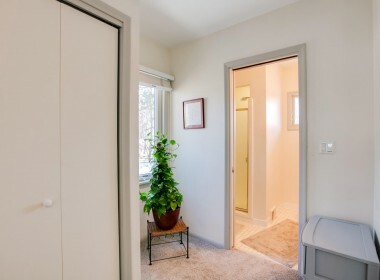 Come inside…. 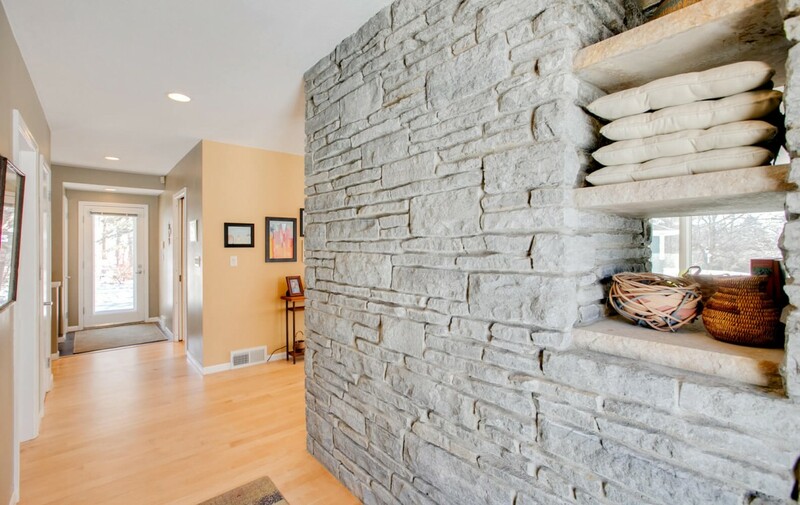 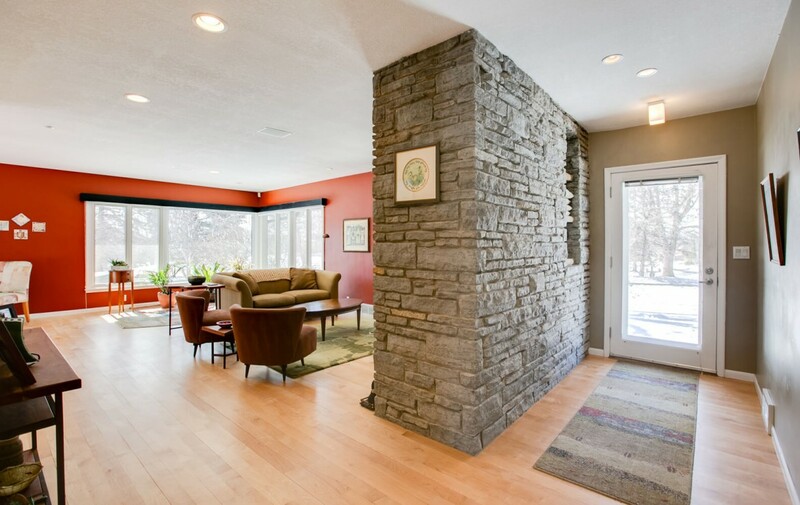 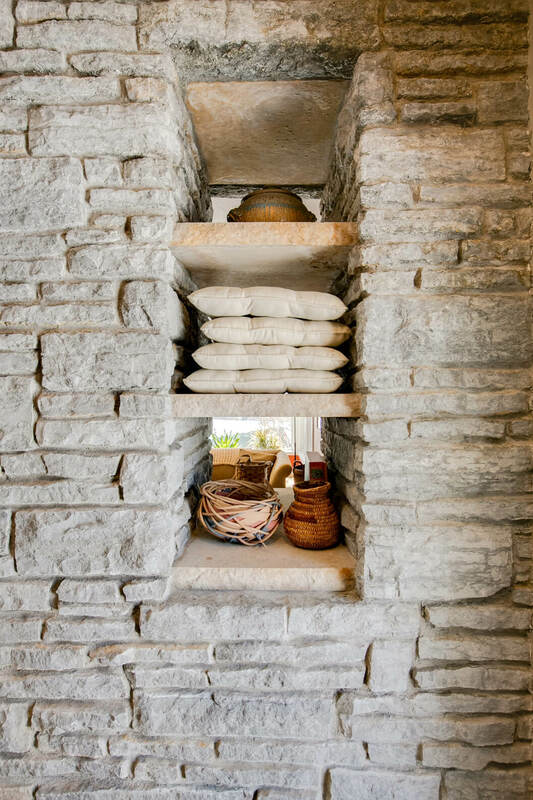 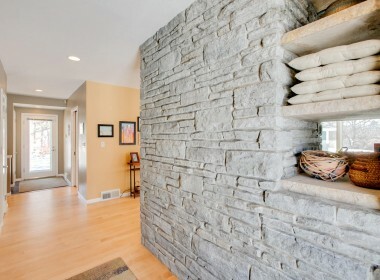 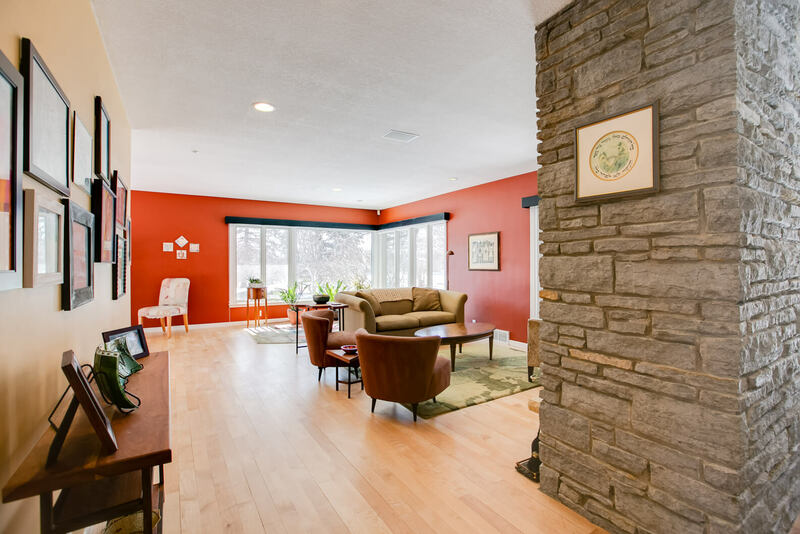 A sun-lit foyer welcomes you inside, while the dramatic stone wall and gleaming hardwood floors beckon you in to explore further. 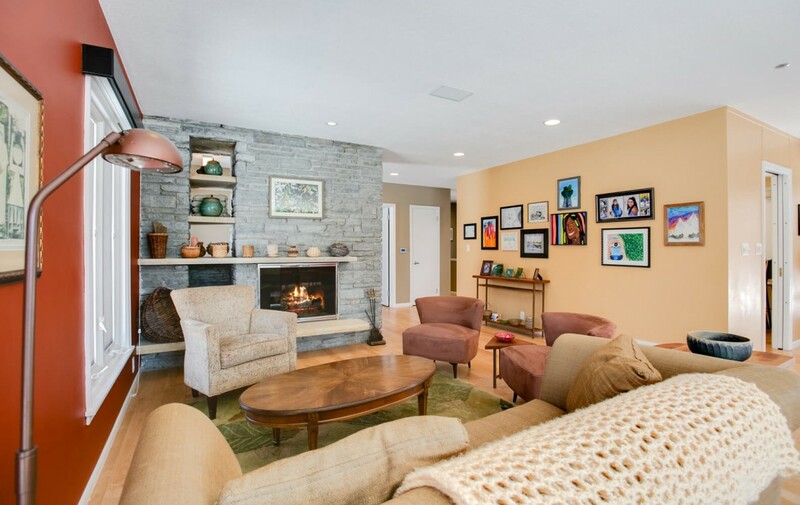 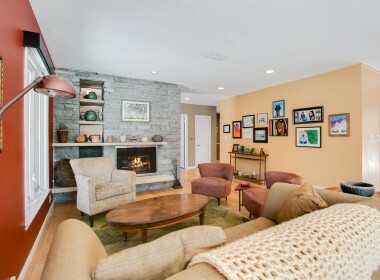 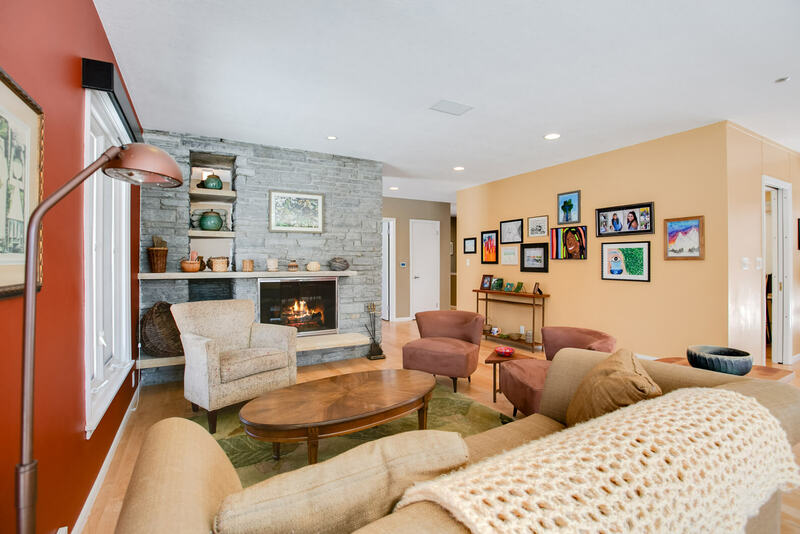 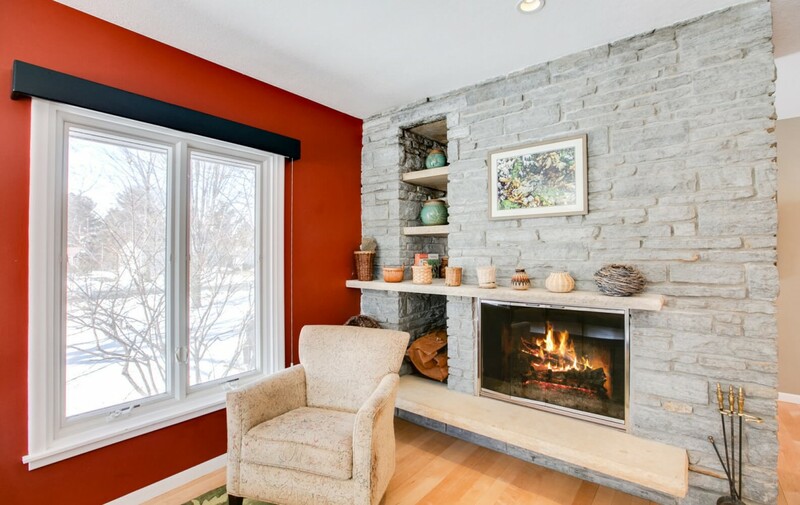 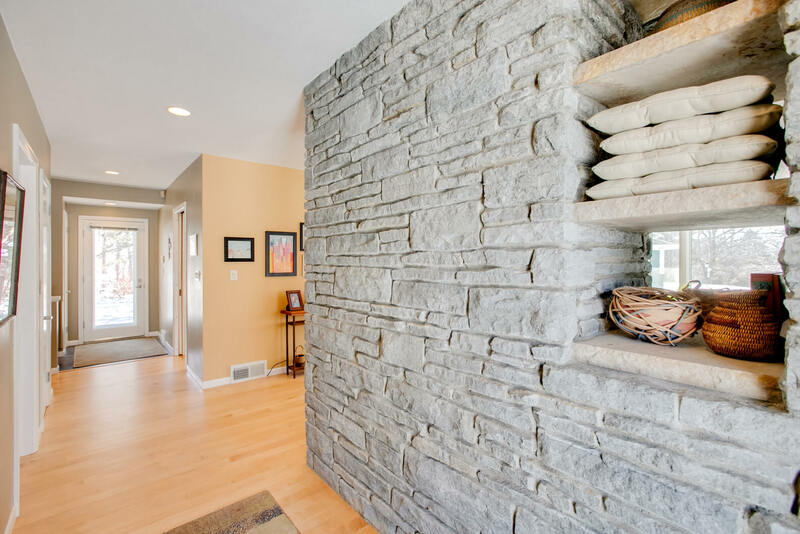 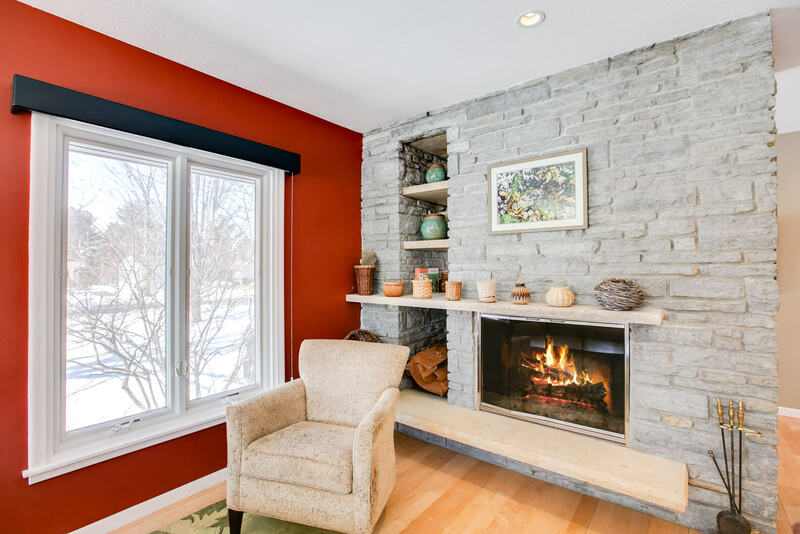 The handsome stone fireplace is the focal point of the living room, urging you to curl up in with a book in front of a crackling fire on cool spring evenings. 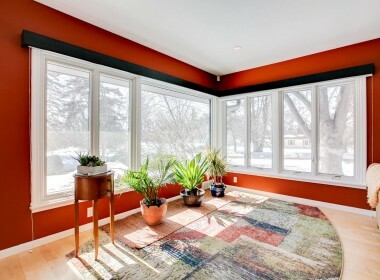 Large picture windows showcase sweeping views of the neighborhood while letting in tons of natural light, highlighting the beautiful hardwood floors and sophisticated decor. 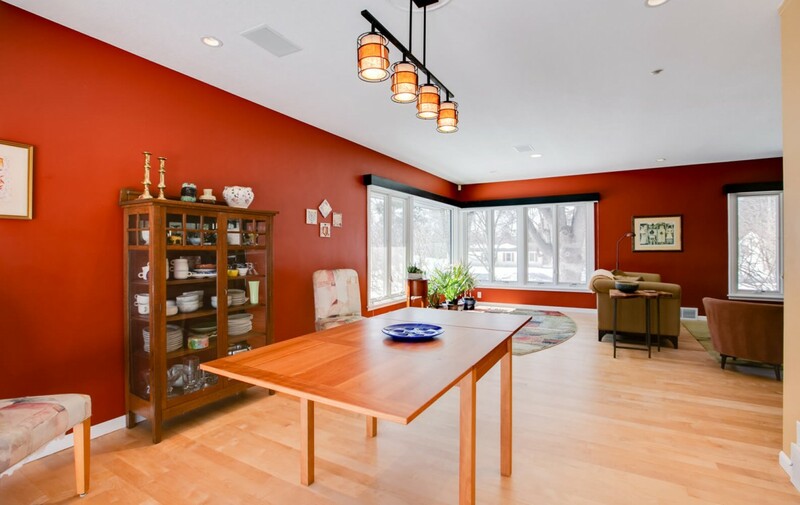 Centrally located between the kitchen and living room, the open dining room allows you to entertain in grand style whether hosting large get-togethers or intimate dinner parties. 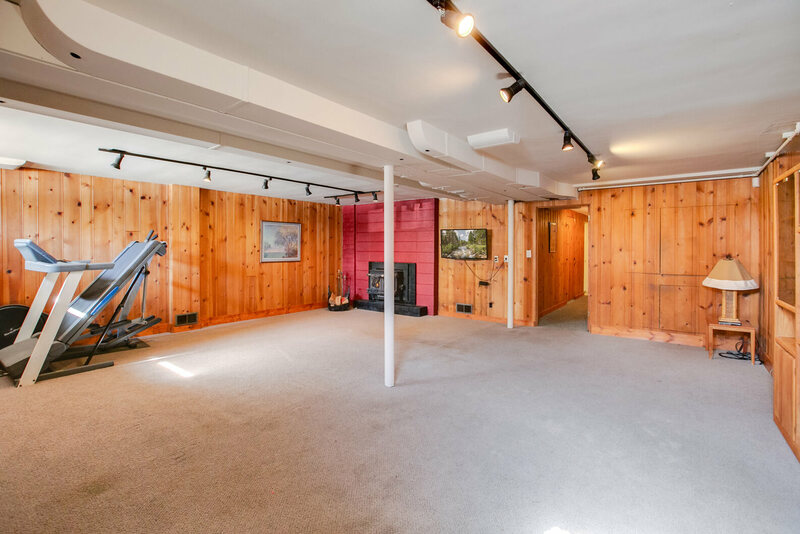 Easy access to the back allows the party to spill out the sliding doors onto the large, private deck overlooking the spacious yard. 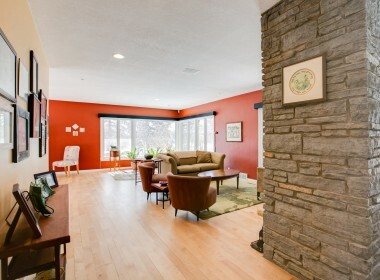 Wired for music indoors and out, this home is an entertainer’s dream! 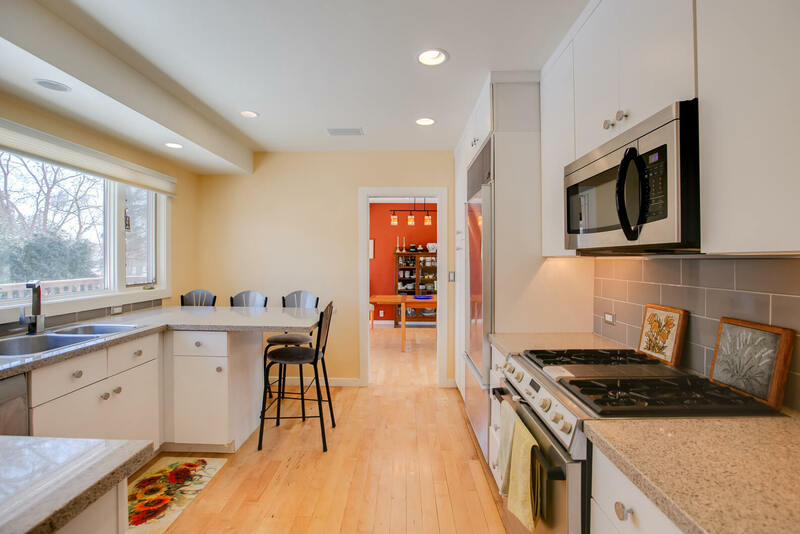 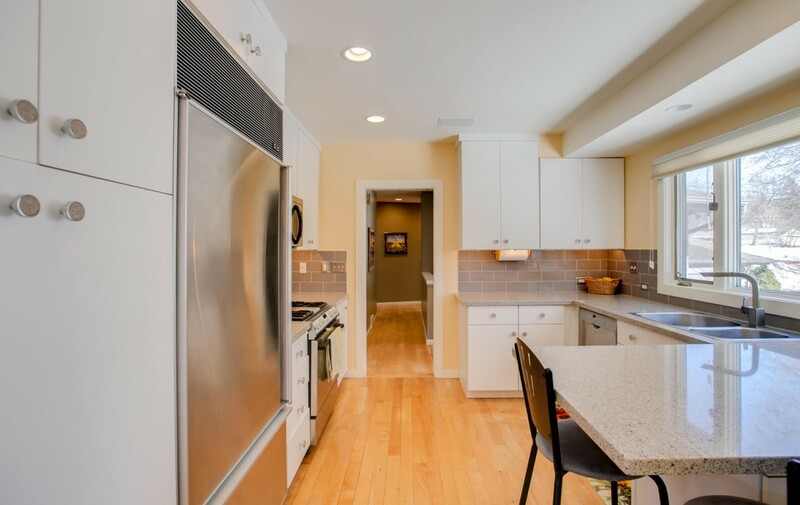 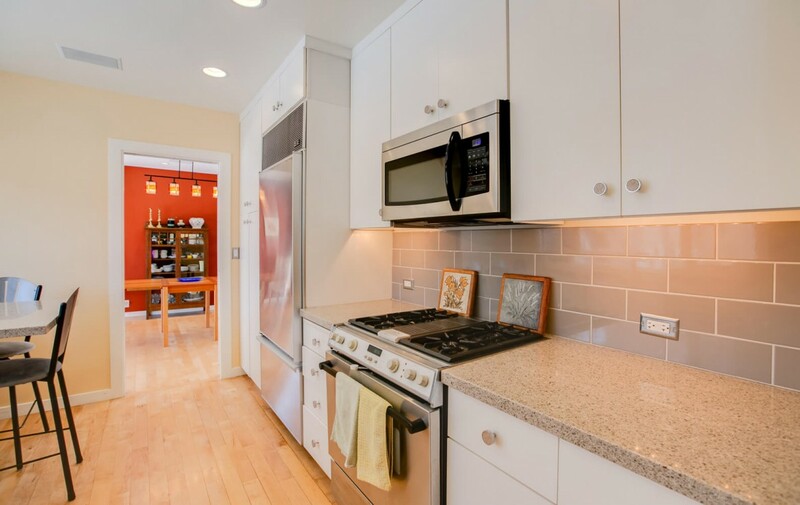 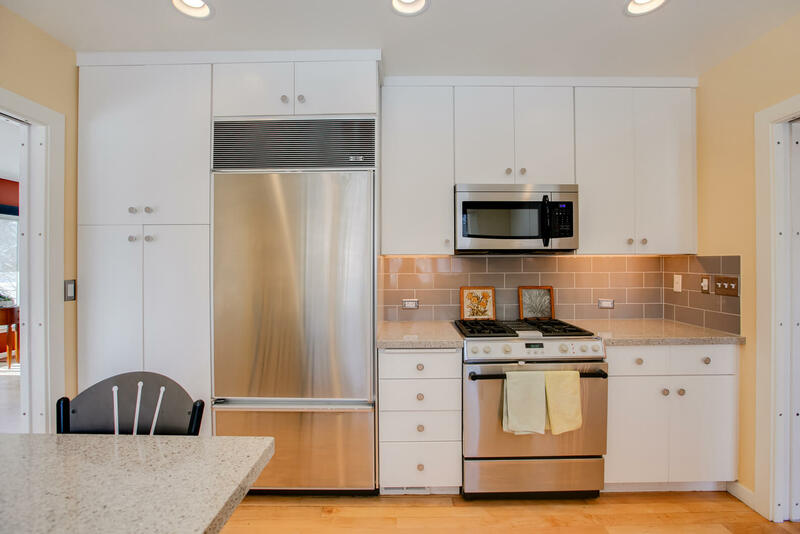 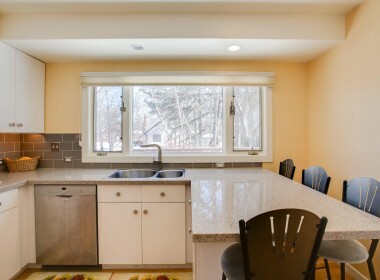 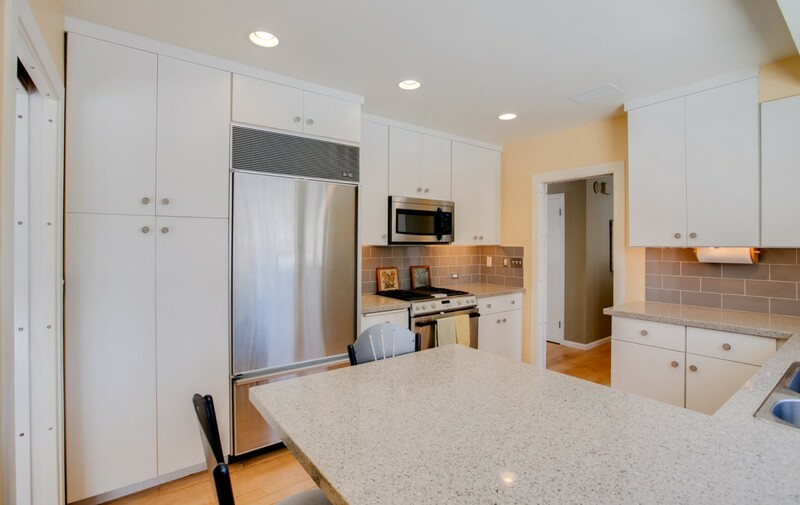 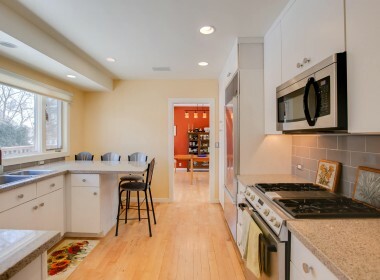 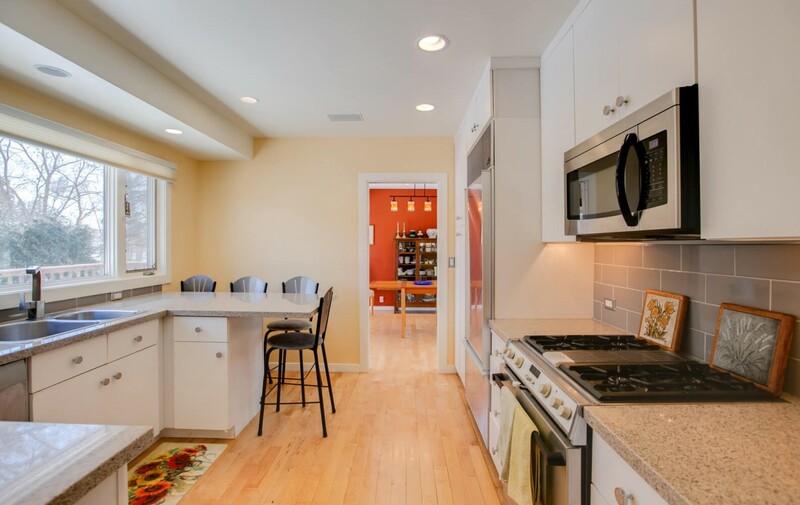 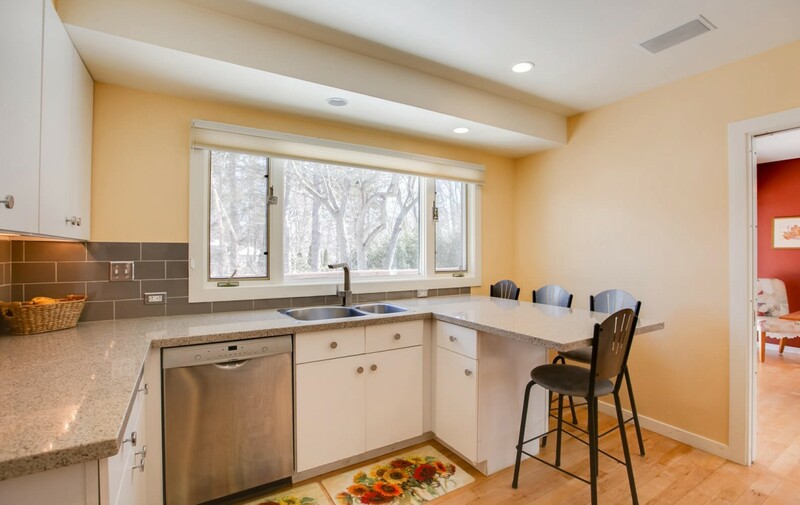 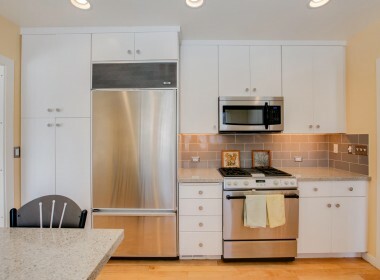 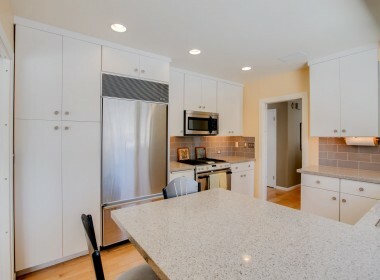 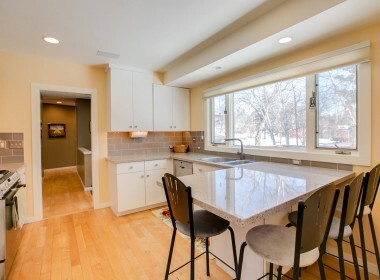 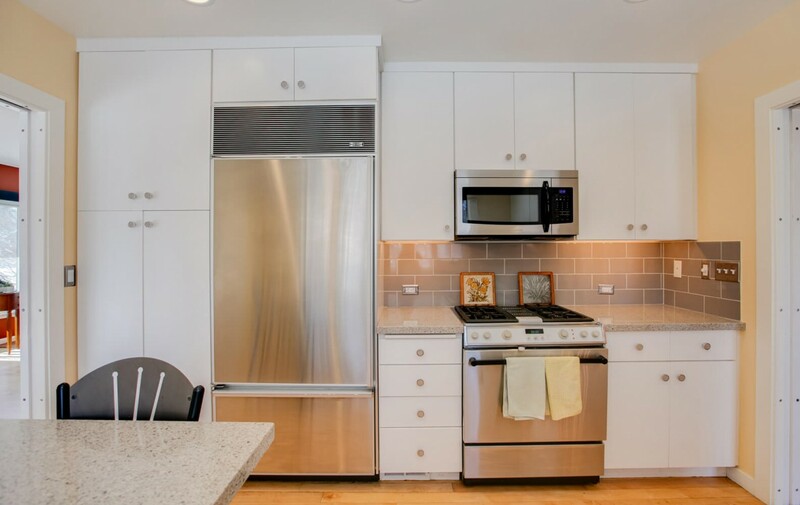 Sleek and stylish in decor and finishes, this well-designed kitchen will bring out your inner chef! 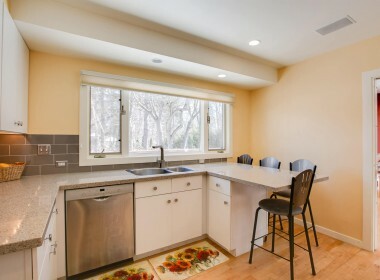 With granite countertops with a unique peninsula for extra eating space, high-end stainless steel appliances, ample cabinets and counter space, a sophisticated glass tile backsplash and gorgeous views of the backyard, meal-times will be both pleasurable and efficient. 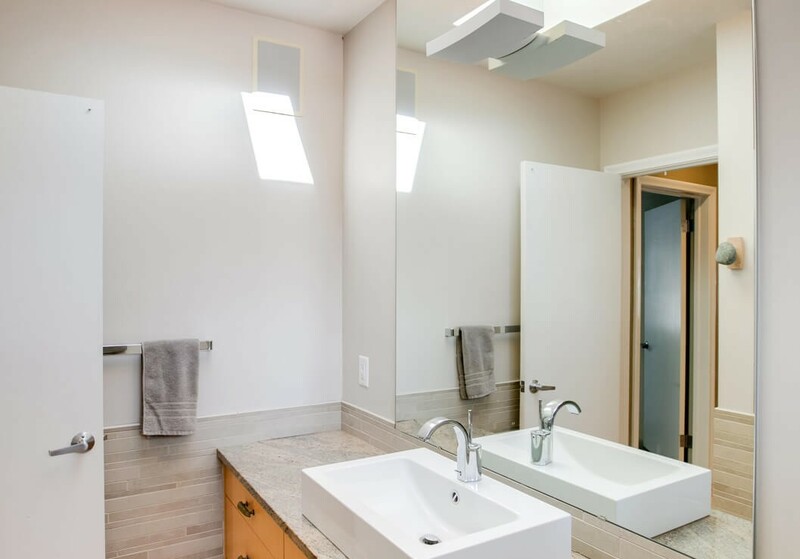 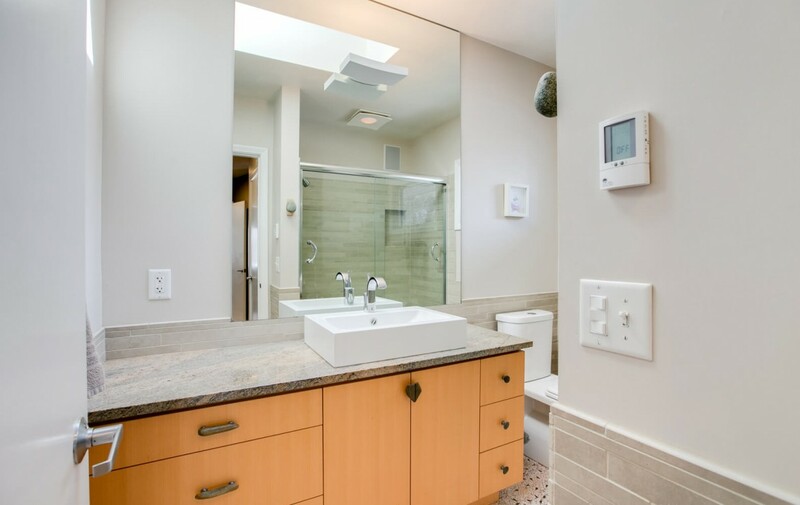 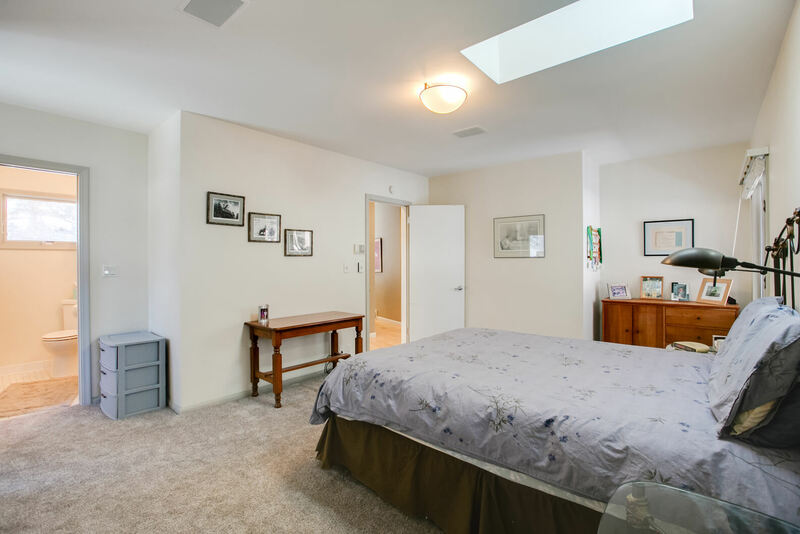 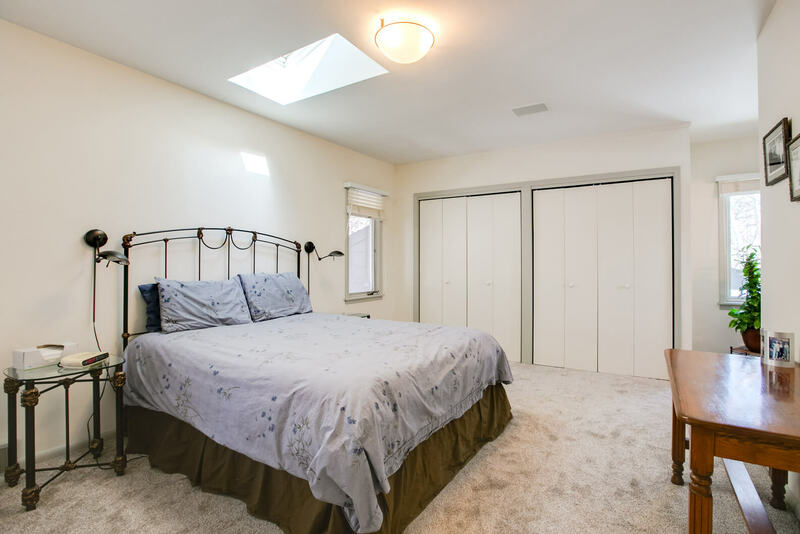 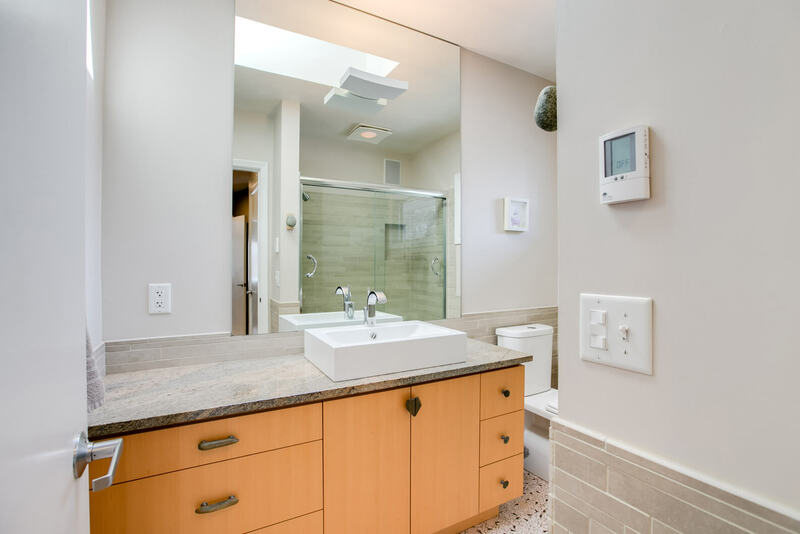 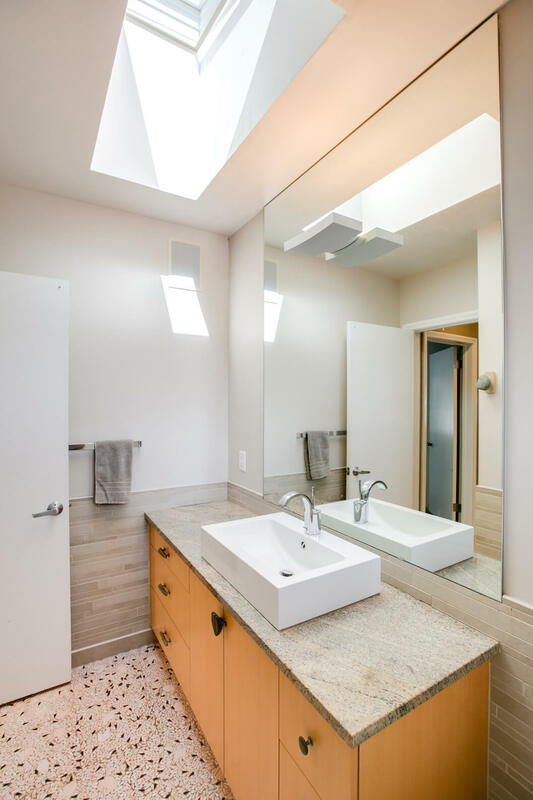 Stargaze through the skylight in the master bedroom or relax and retreat from the hustle and bustle of everyday life. 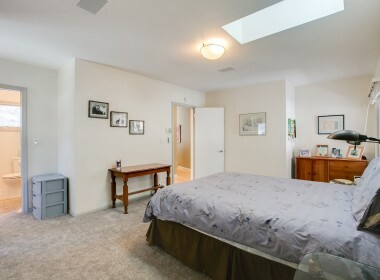 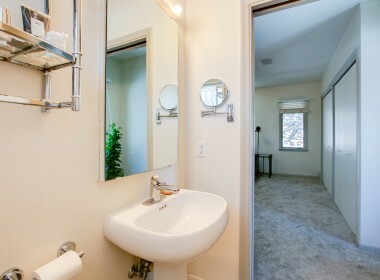 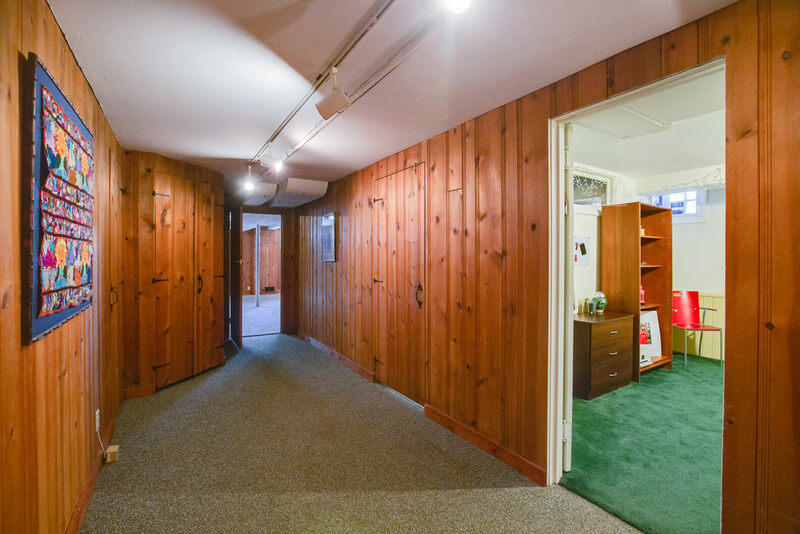 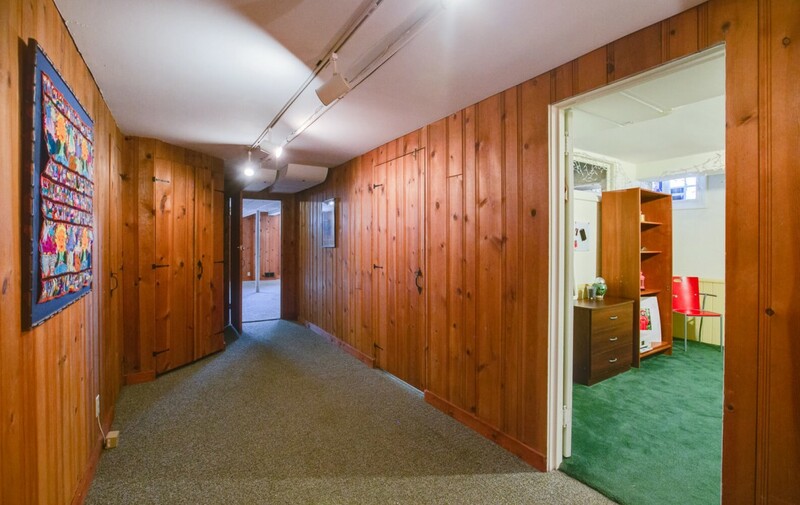 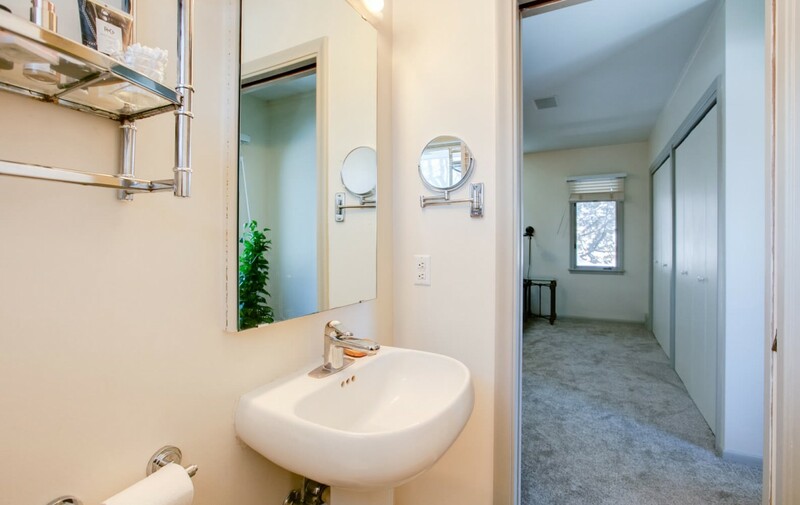 Quiet and peaceful, plus a private 3/4 bath and double closets. This master bedroom will quickly become your sanctuary. 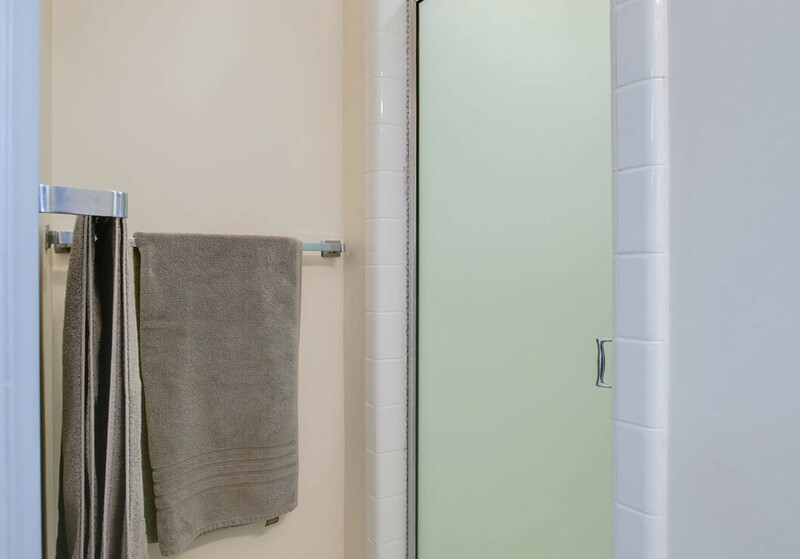 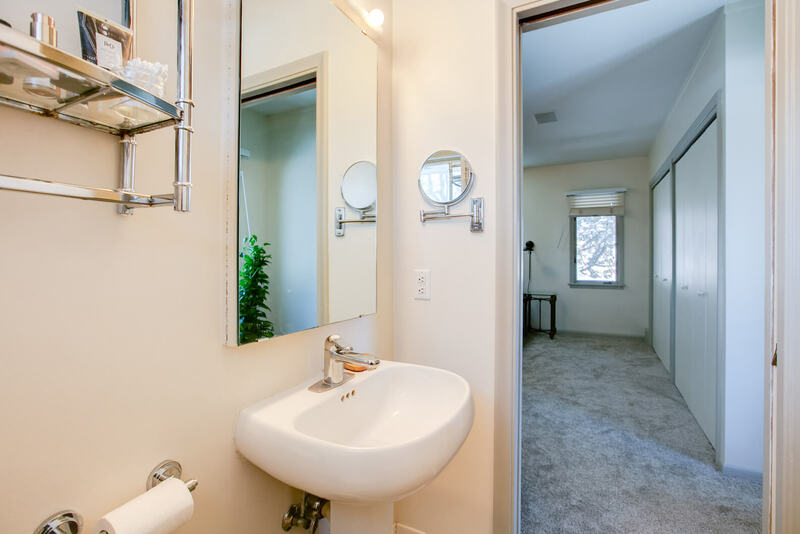 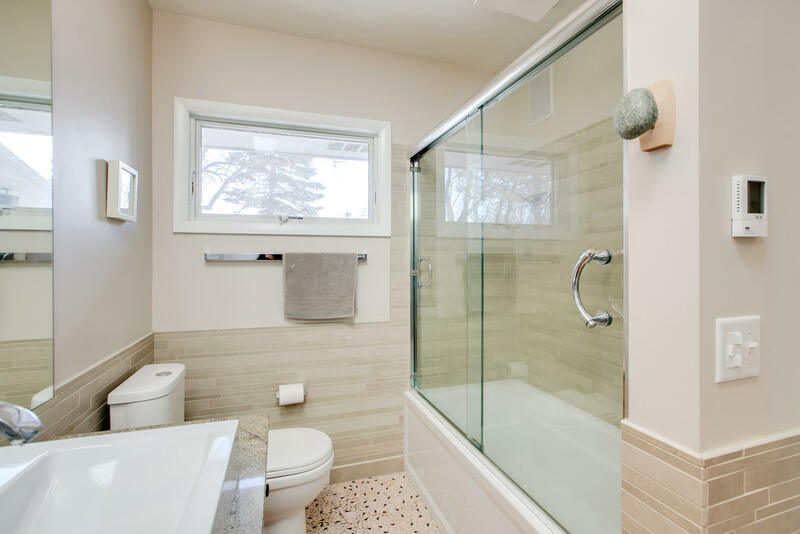 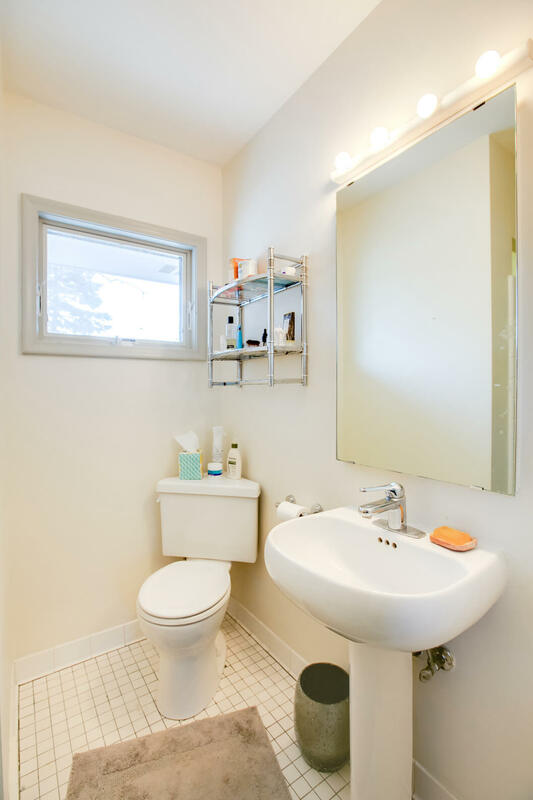 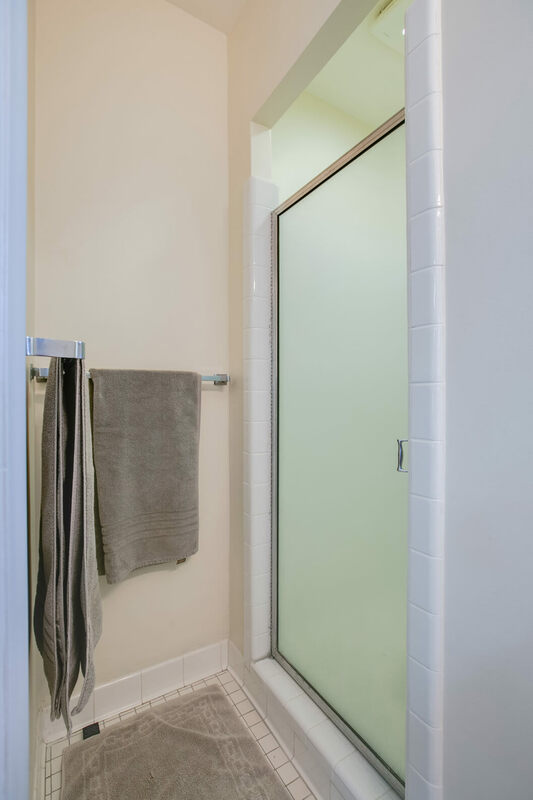 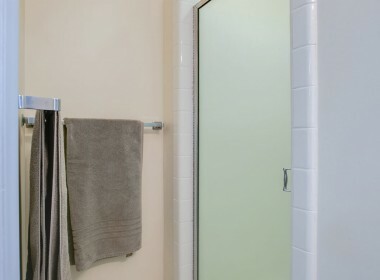 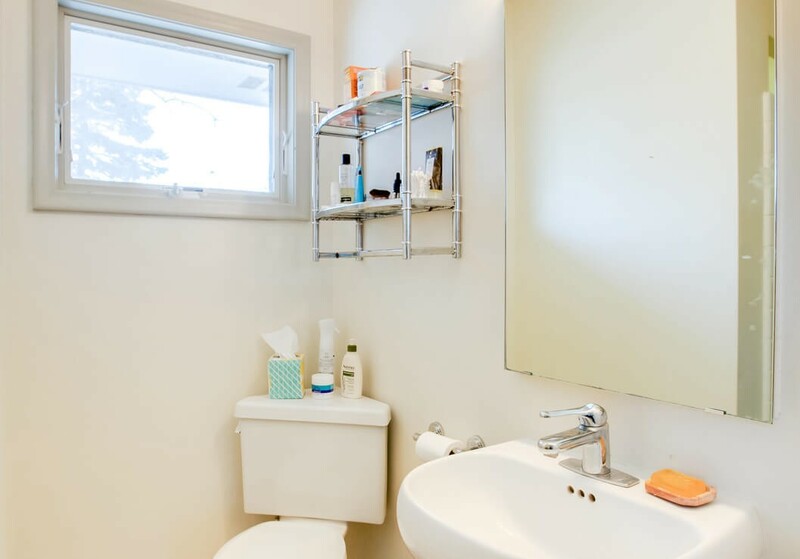 Two more sunny, spacious bedrooms and a conveniently-located full bathroom with gorgeous tilework and updates complete the main level. 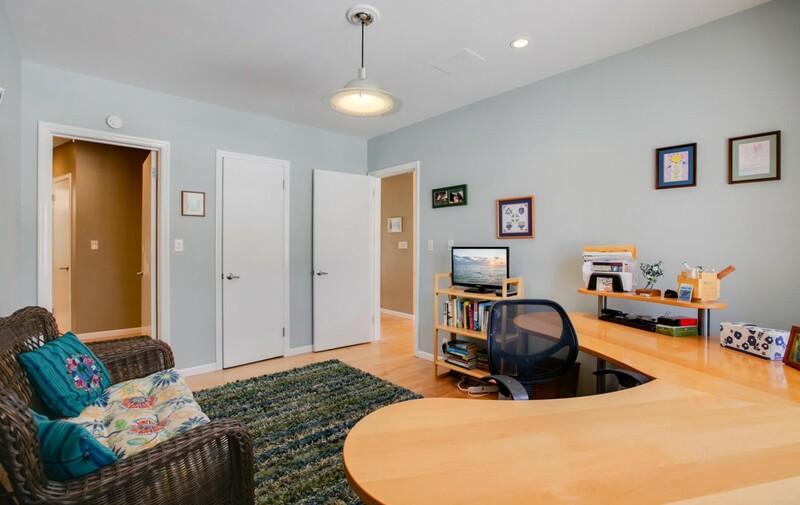 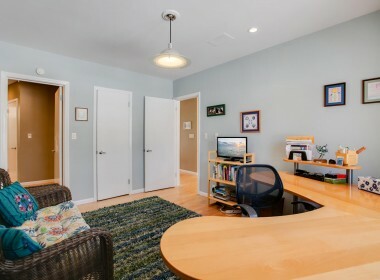 This home’s living spaces also continue on to the lower level…a large family room awaits for you to fill it with games, movies, fun and laughter, while a spacious office provides a fabulous flexible space for a guest room or 4th bedroom. 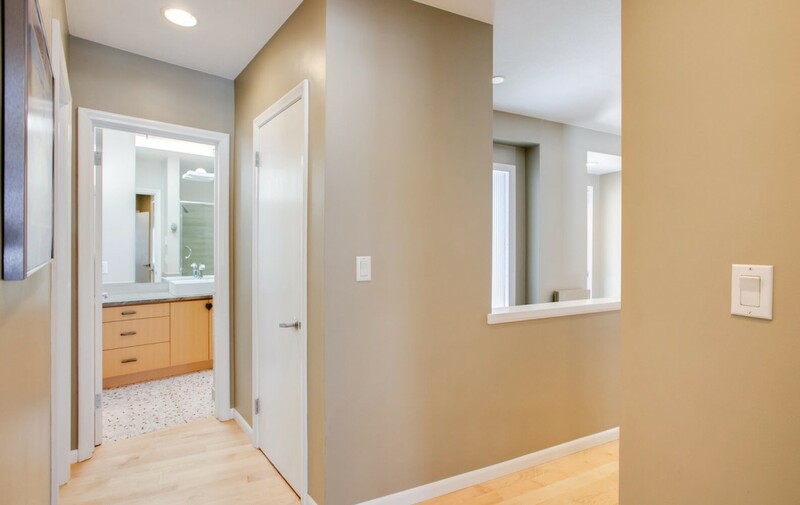 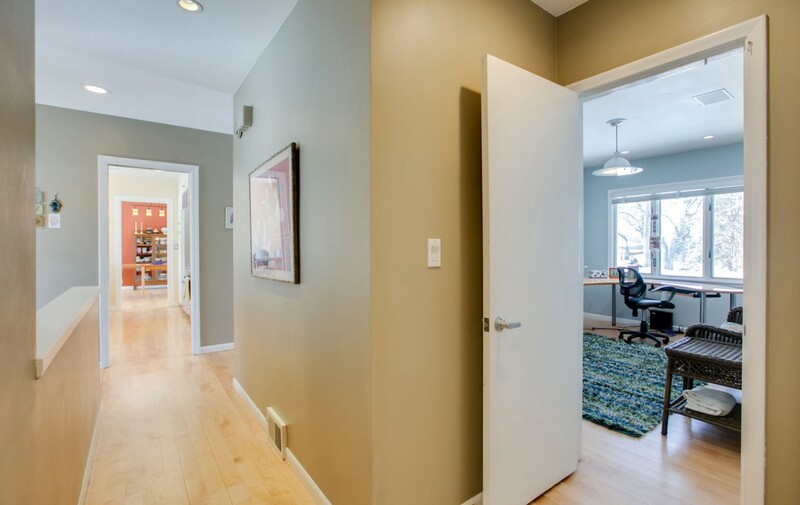 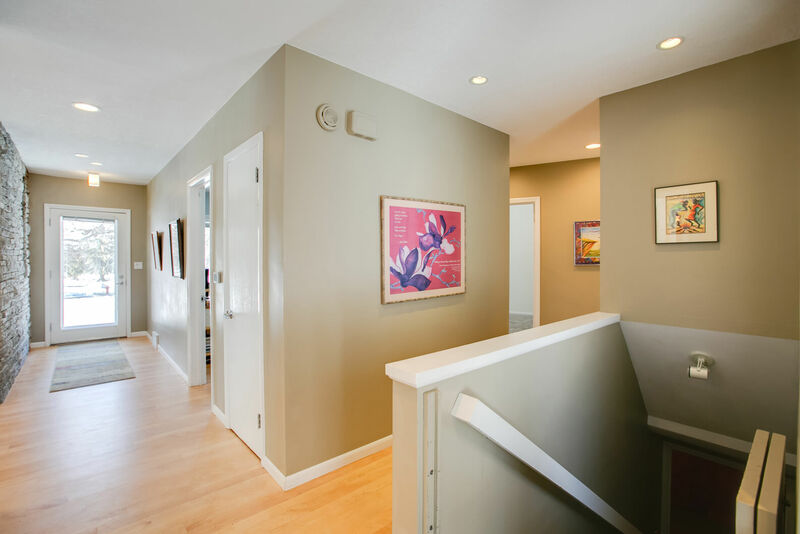 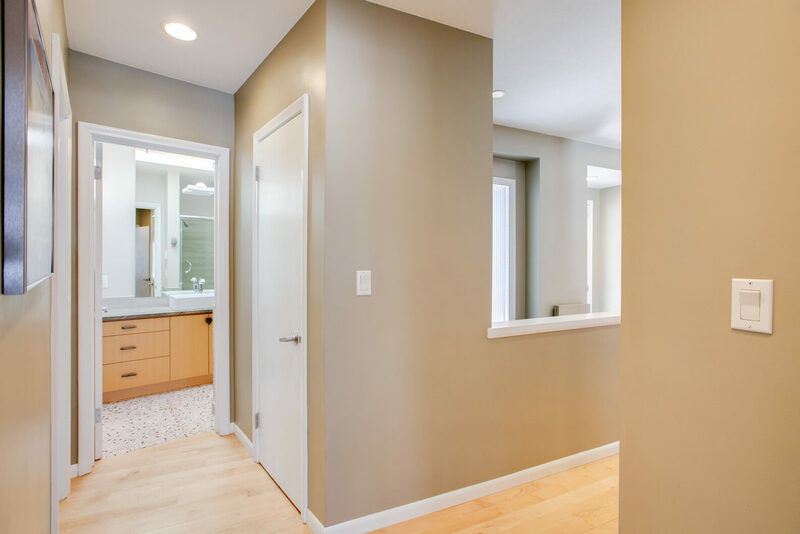 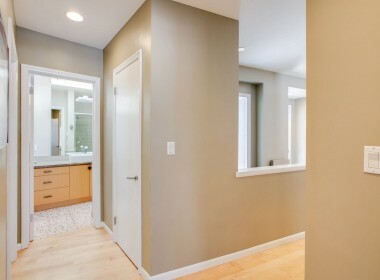 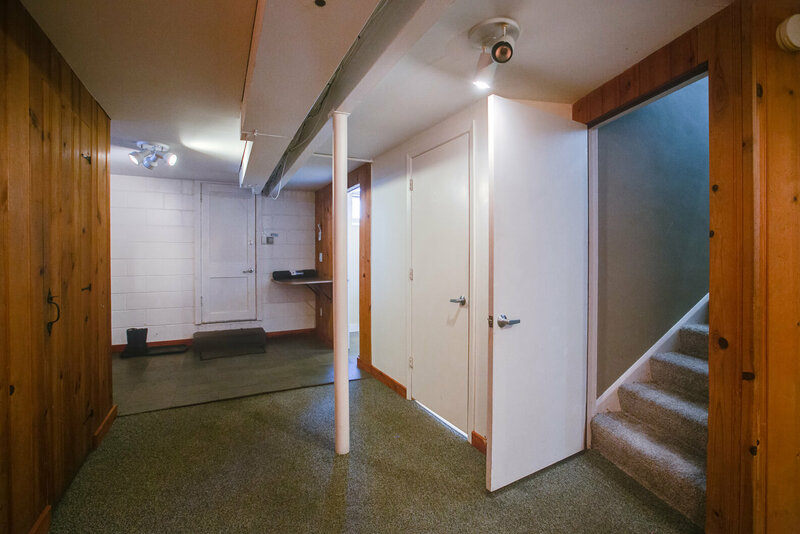 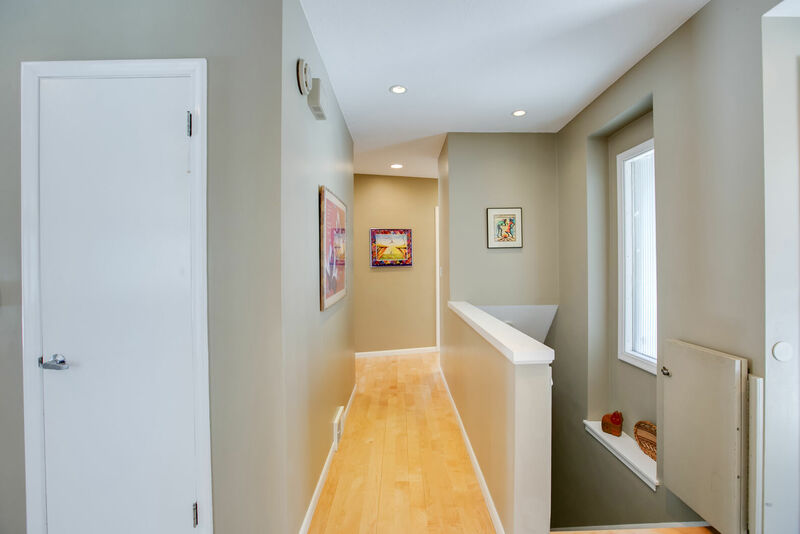 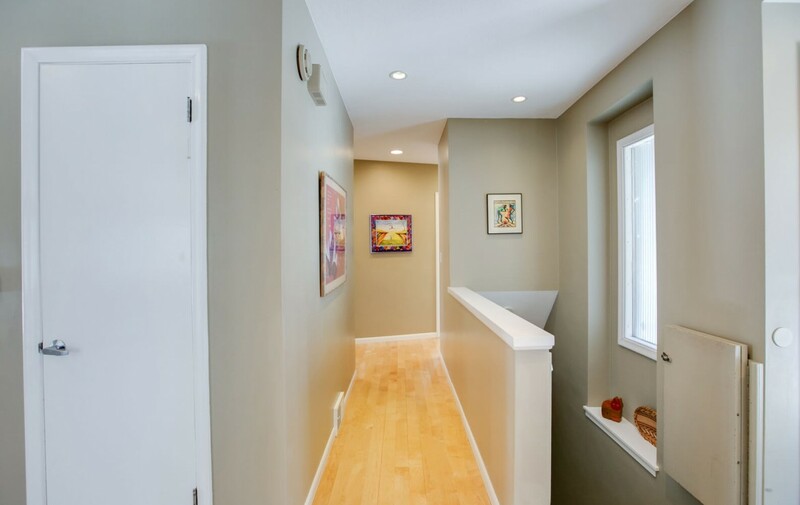 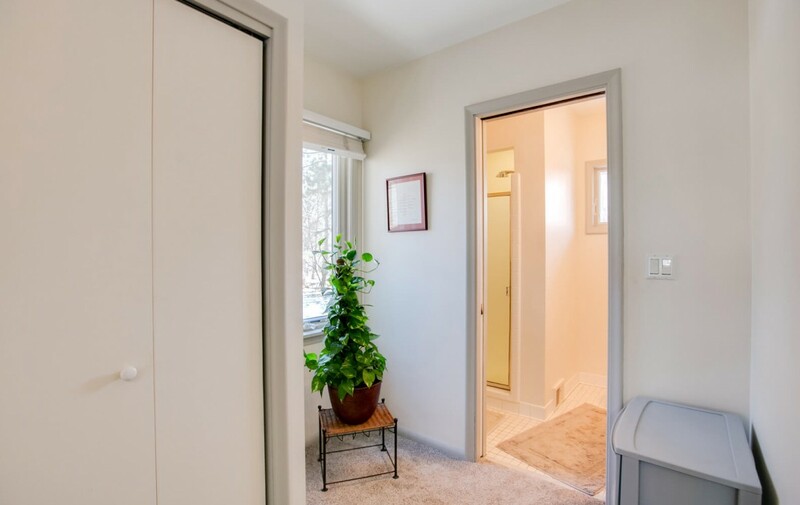 The large mudroom-like area conveniently lies near the two-car attached garage entrance, making it easy to keep the elements you drag inside contained and separated from living spaces. 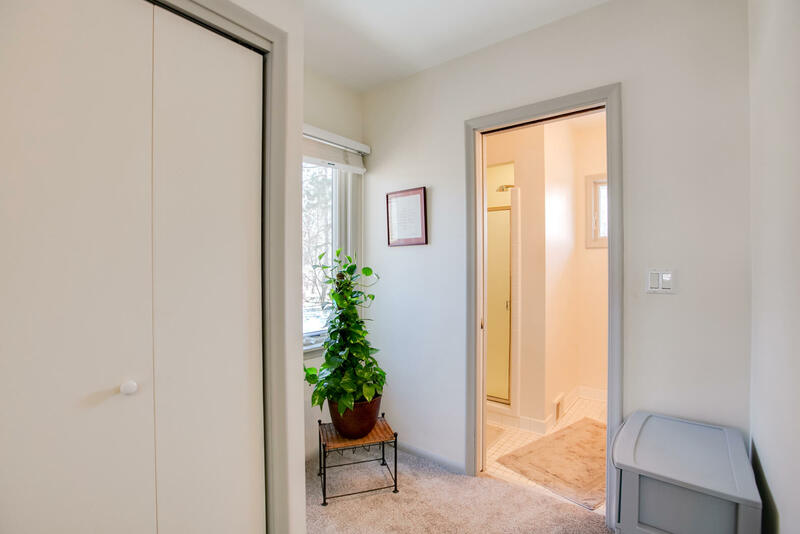 Don’t miss the convenient laundry room, 3/4 bathroom and amazing storage closets! 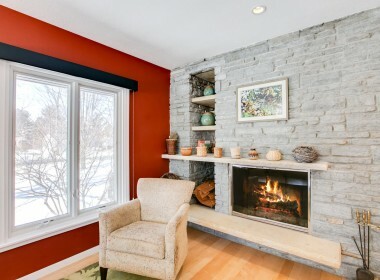 -Chimney caps resealed in 2015. 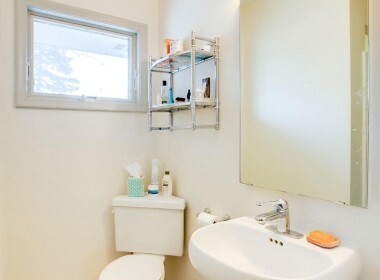 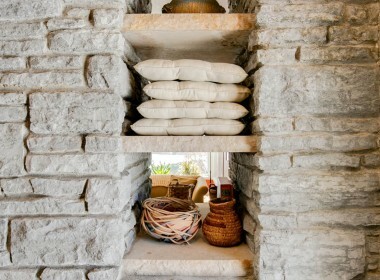 -Installed shelving in back closet to make it more efficient. 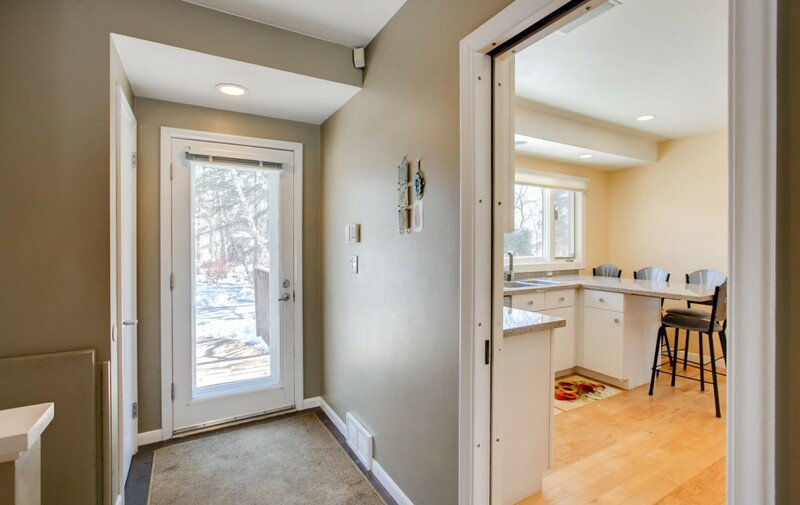 -Installed new garage door with remotes. 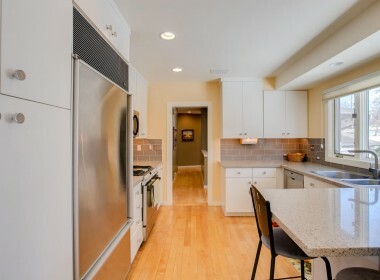 -Freshly painted kitchen and bedrooms. 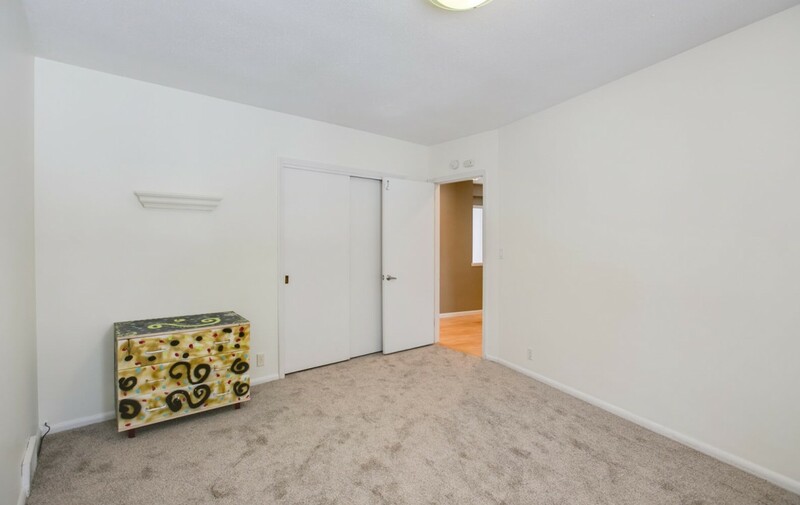 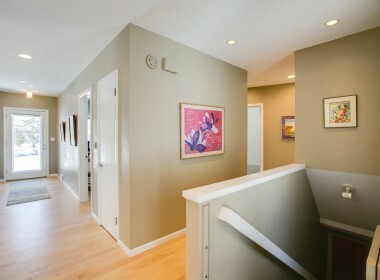 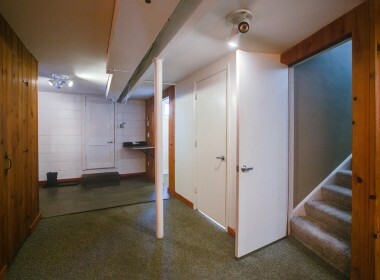 -New carpet in upper bedrooms and stairs to the lower level. 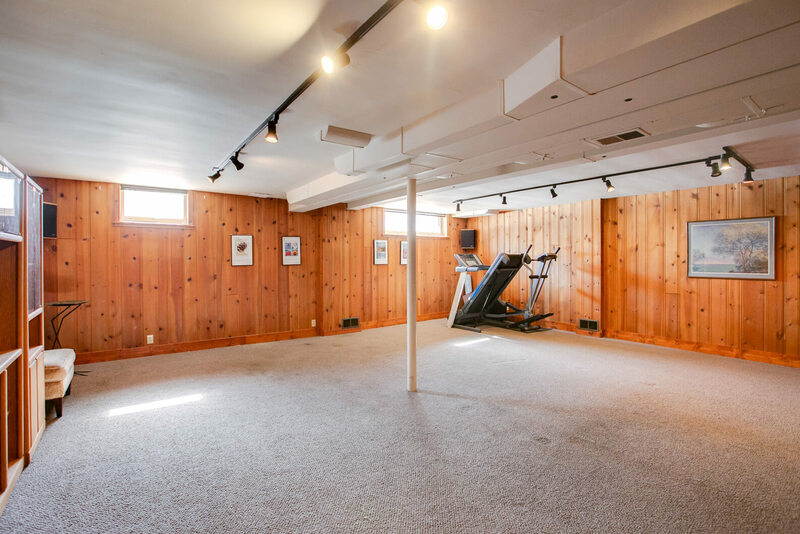 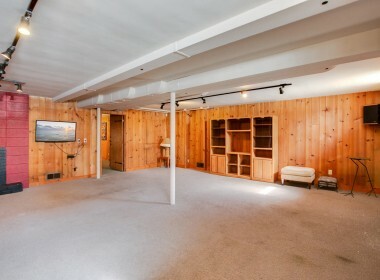 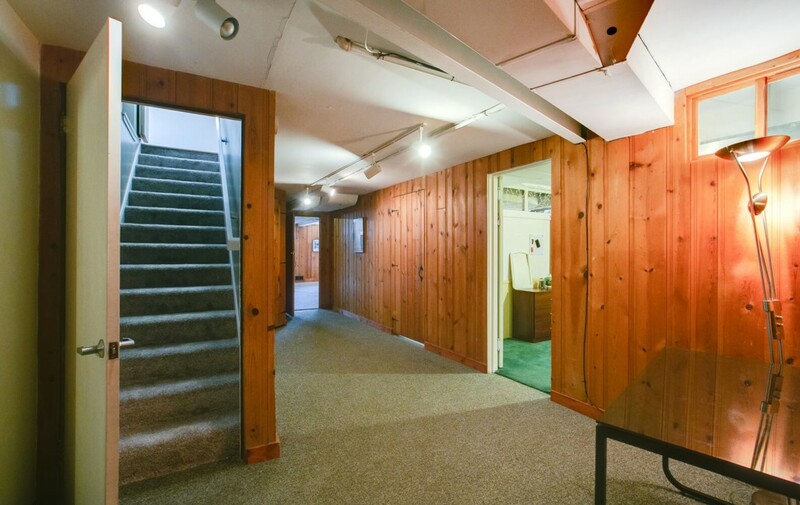 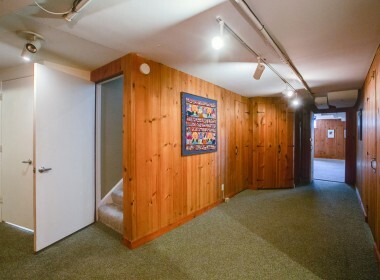 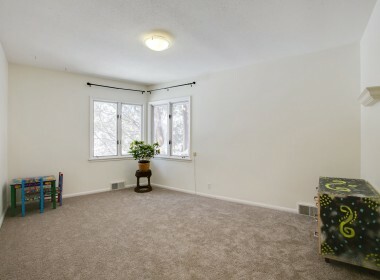 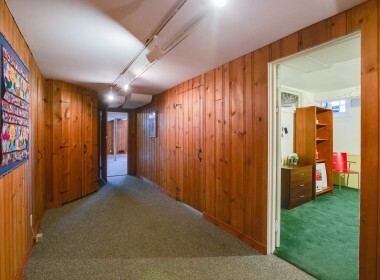 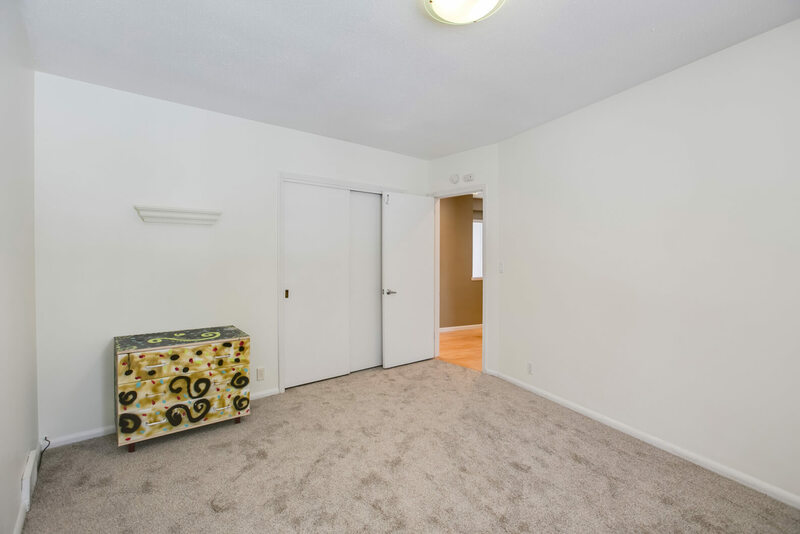 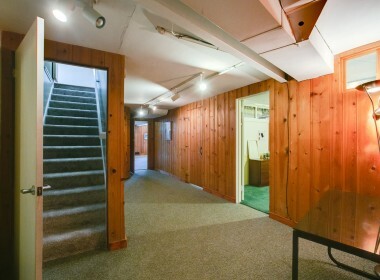 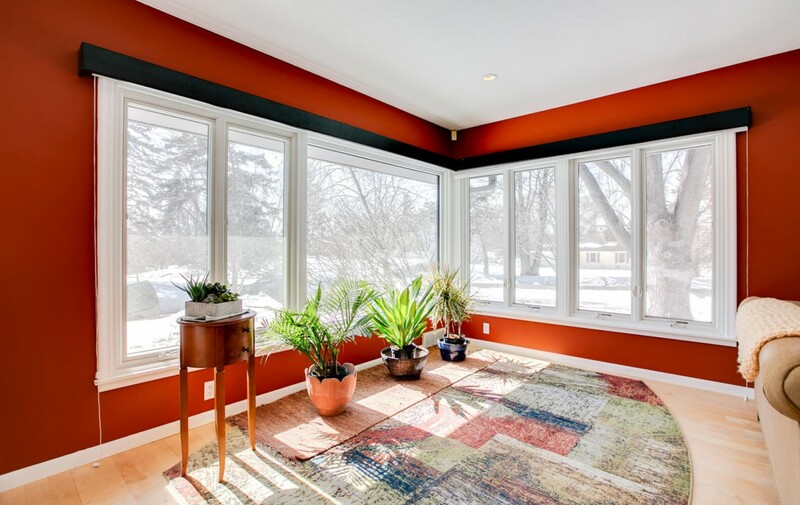 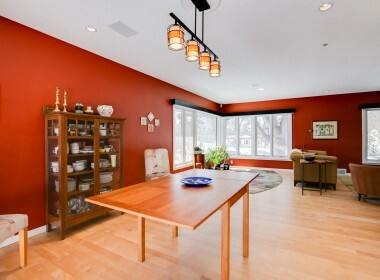 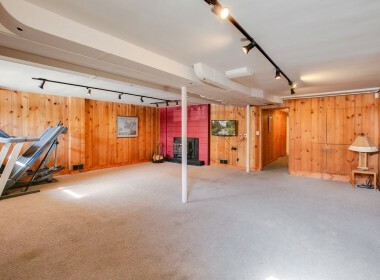 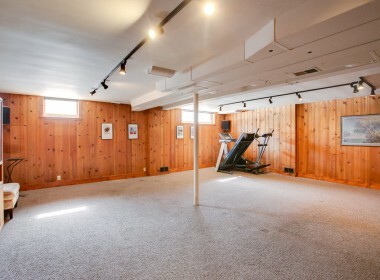 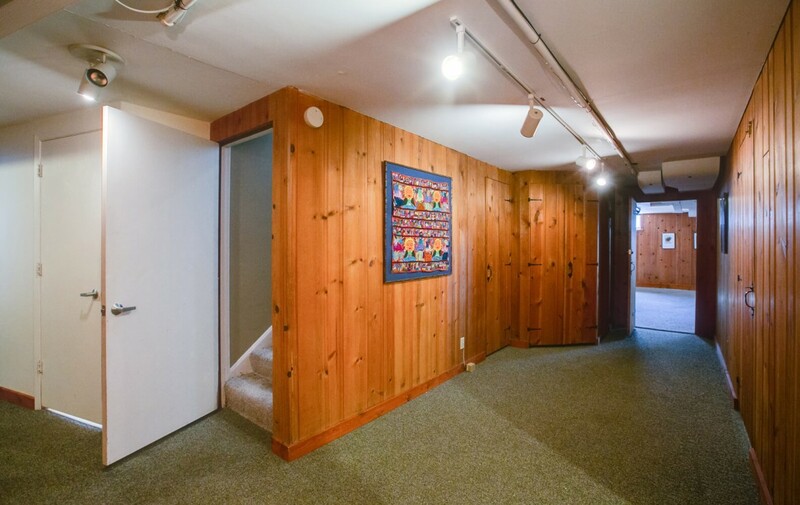 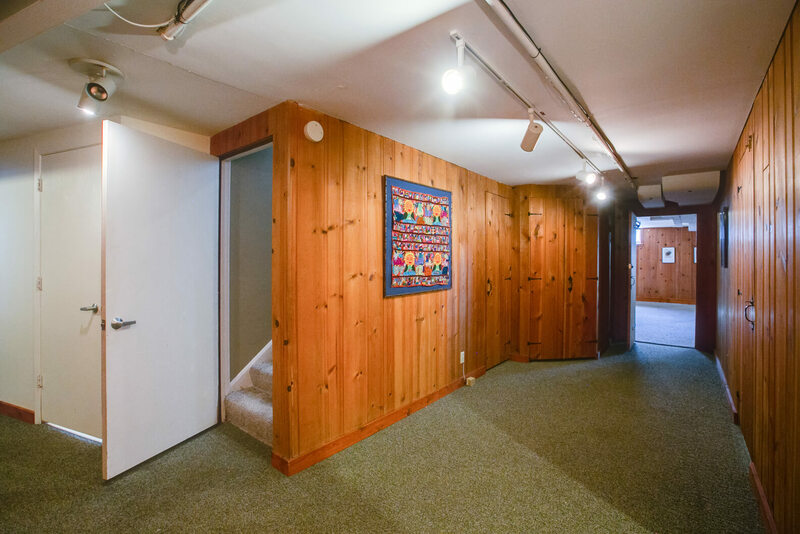 -Regular carpet cleaning and dehumidifiers in the summer keep basement fresh and safe! -I am a “Peace of Mind” customer for Bonfe’s, so have never hesitated to address issues.